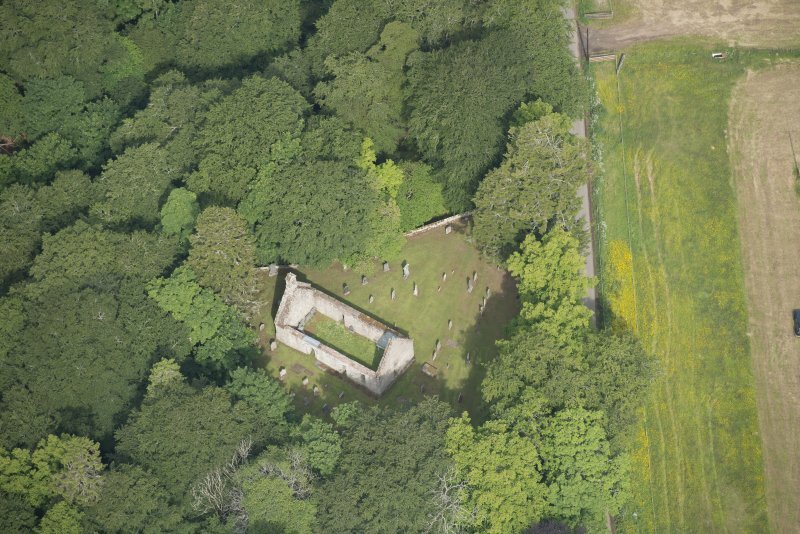 Oblique aerial view of Auchindoir, St Mary's Church centred on the remains of the church with burial-ground adjacent, taken from the E.
Oblique aerial view of Auchindoir, St Mary's Church centred on the remains of the church with burial-ground adjacent, taken from the SE. 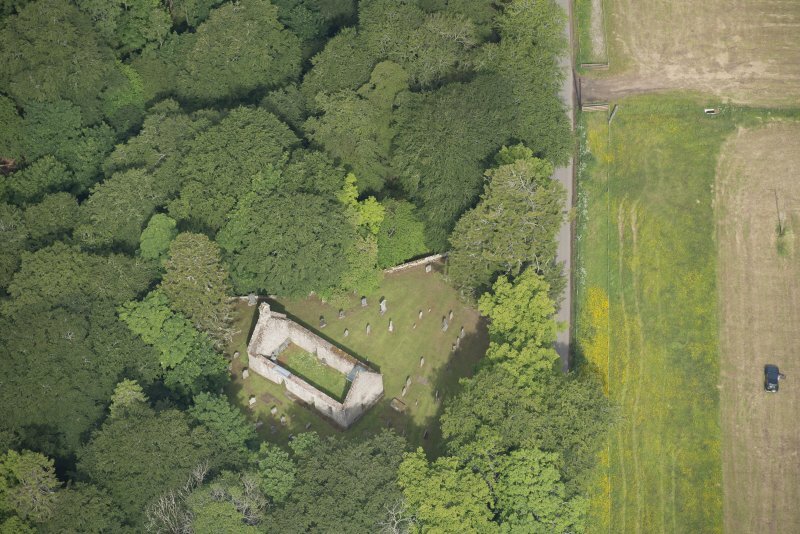 Oblique aerial view of Auchindoir, St Mary's Church centred on the remains of the church with burial-ground adjacent, taken from the S.
Auchindoir, plan and south elevation of the old parish church. 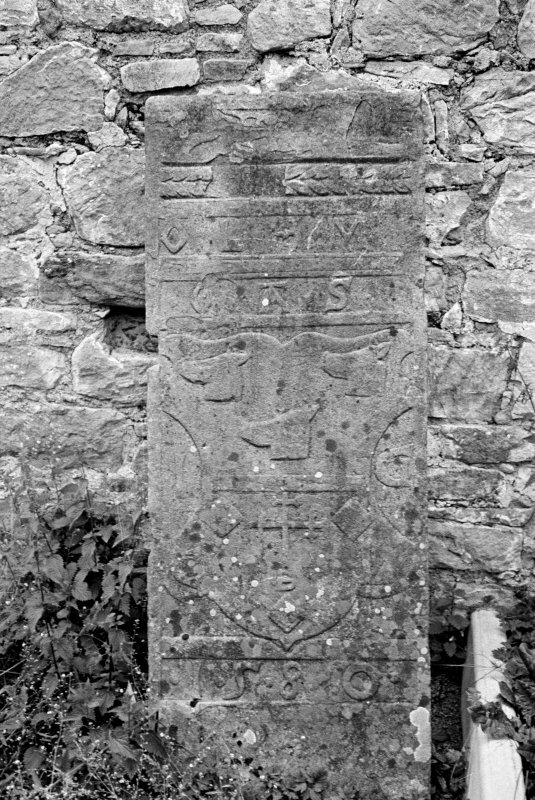 View of grave-slab in North East corner of church. 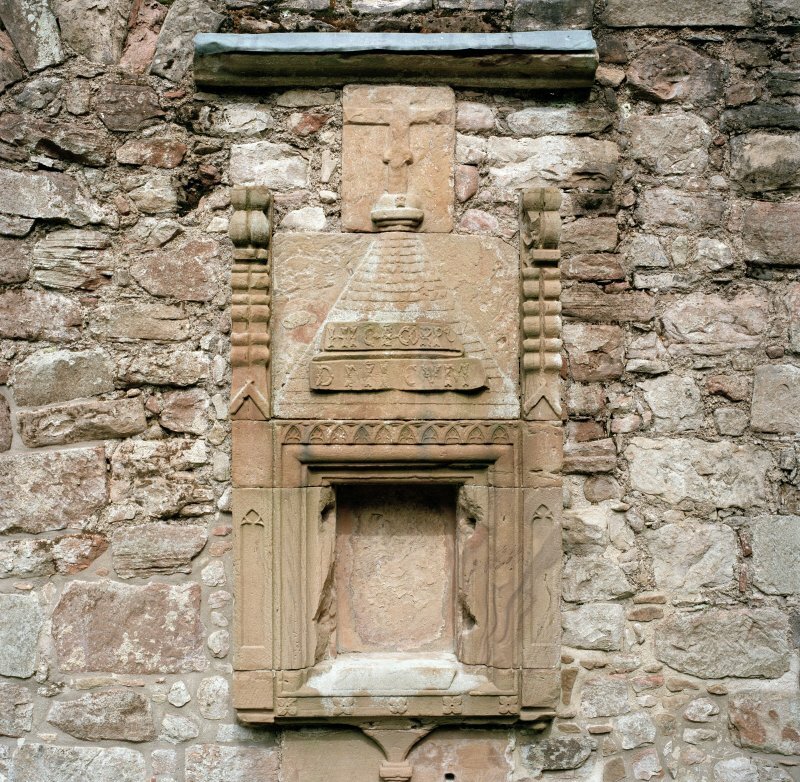 Detail of monument to James Francis Gordon Shirrefs Gordon of Craig set into inside of East gable. 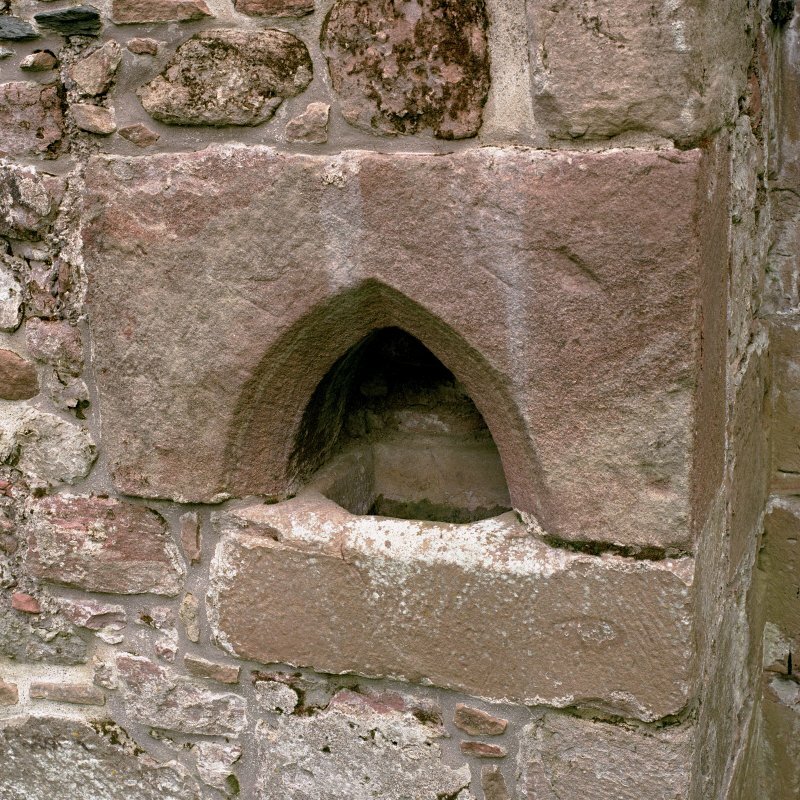 Detail of blocked lancet window in North wall. 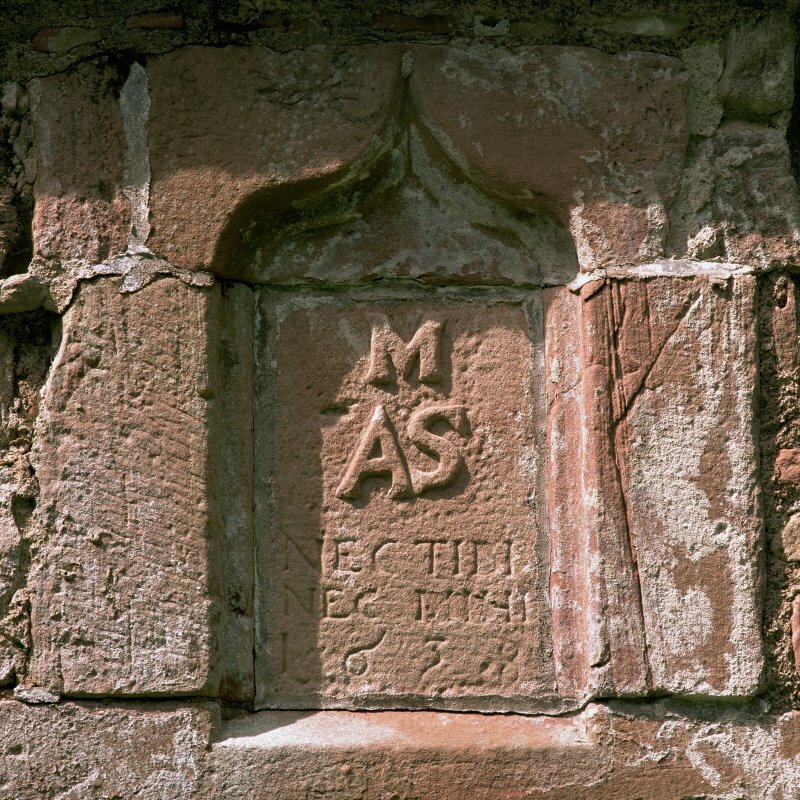 Detail of bellcote from North West. 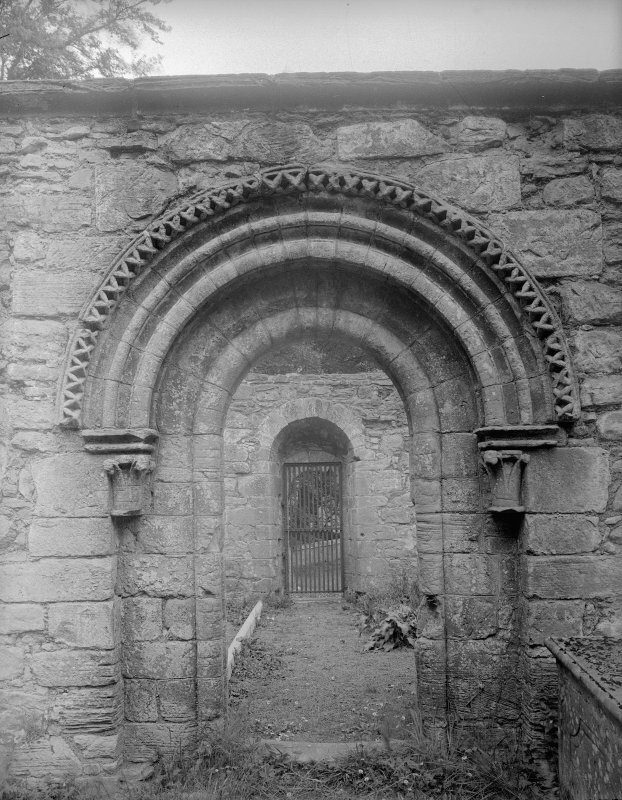 East doorway in South wall, view from outside church. 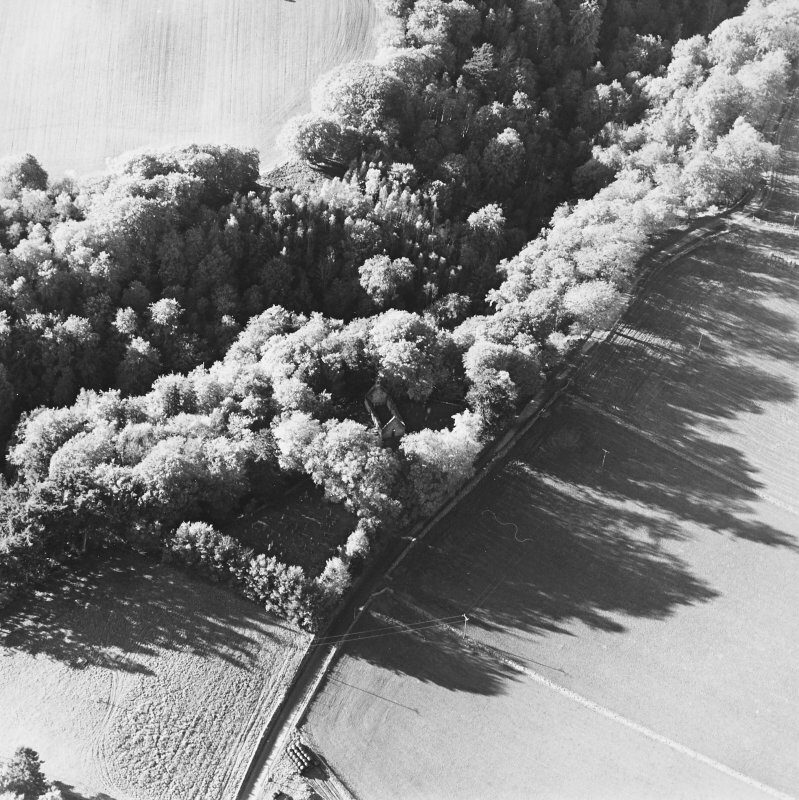 Oblique aerial view of St Mary's Church, looking to the WNW. 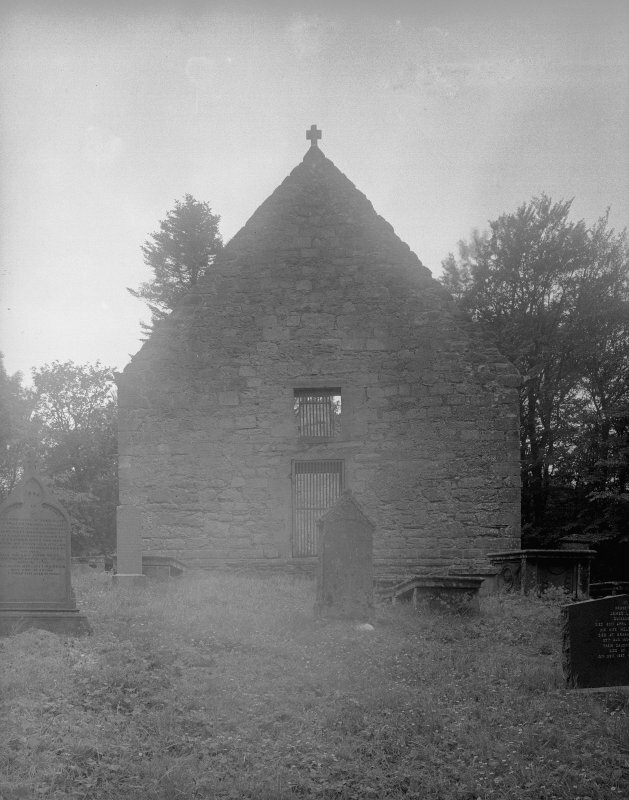 Auchindoir Church. General view from N.
Auchindoir, St Mary's Church. Detail of ogee-headed inscribed panel above SE door. 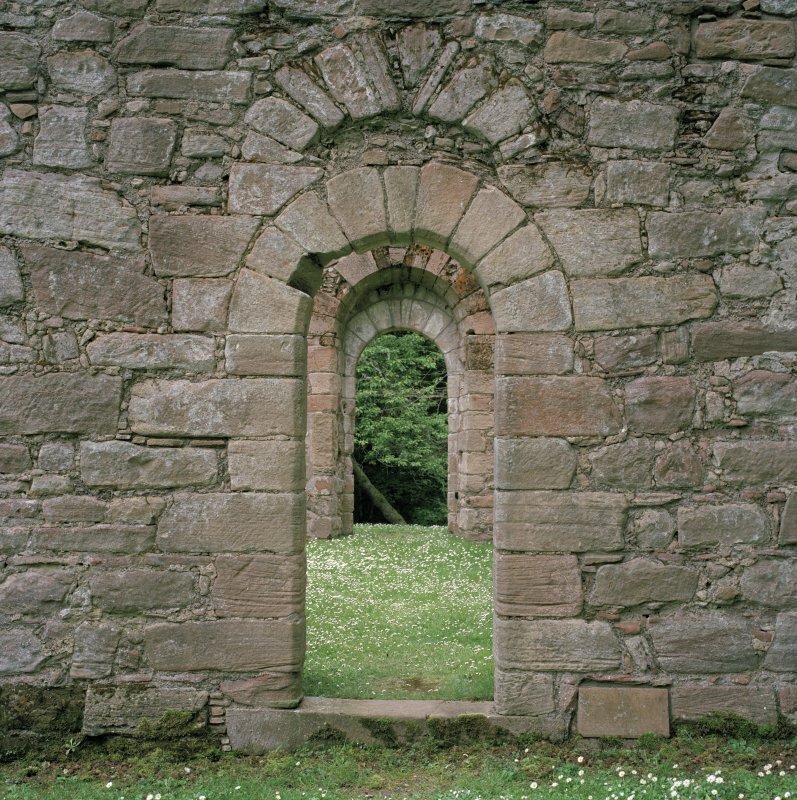 Doorway in North wall, view from exterior. 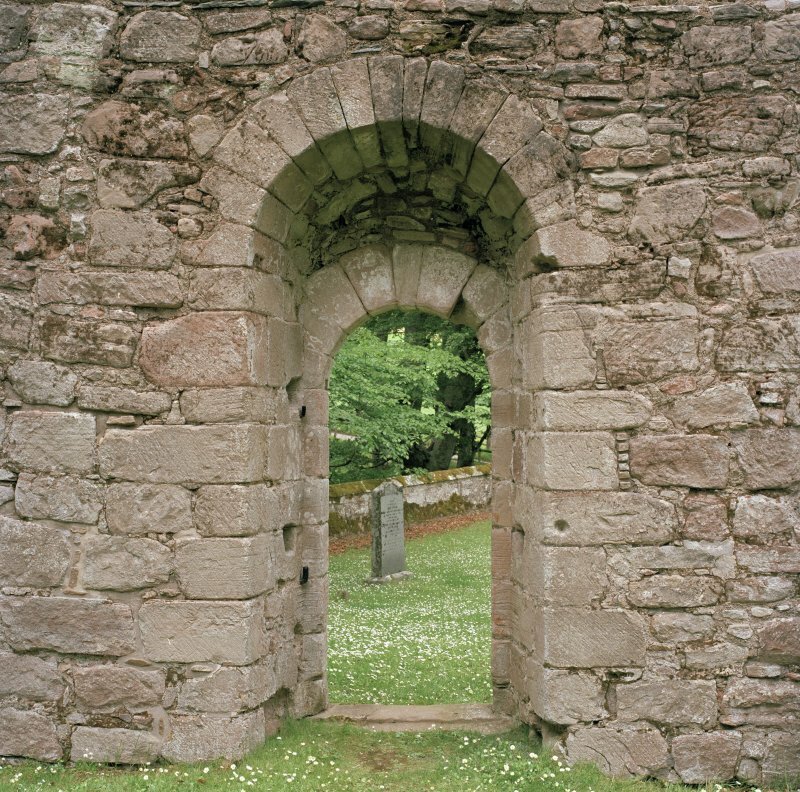 Transitional doorway in South wall, view from inside church. Detail of bellcote from East. 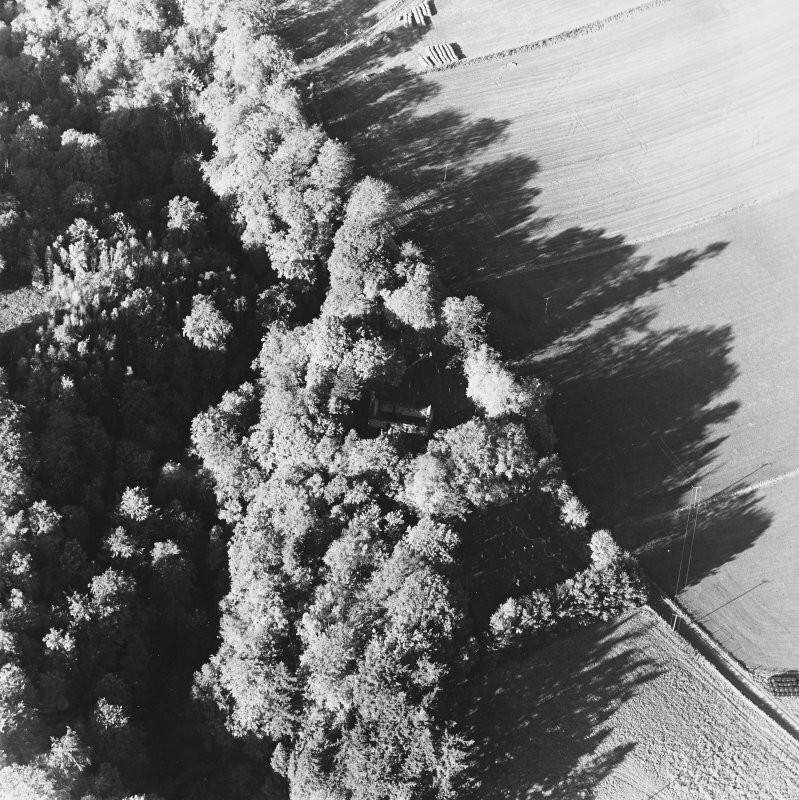 Oblique aerial view of St Mary's Church, looking to the NW. Auchindoir, St Mary's Church. General view from SE. Detail of monument to Rev. James Reid set into inside of South wall. 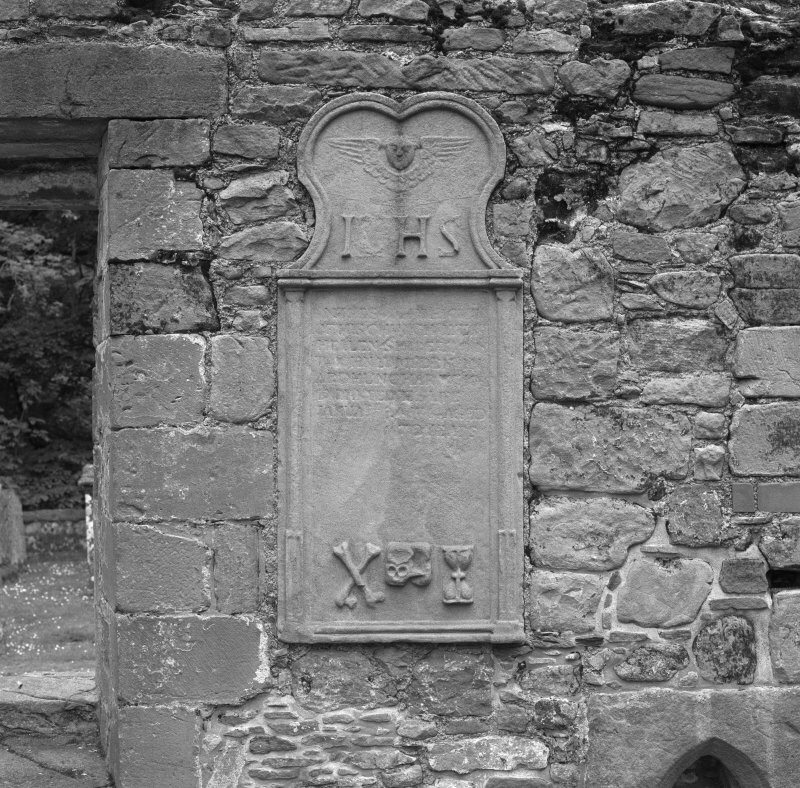 Detail of 18th century monument set into inside of South wall. 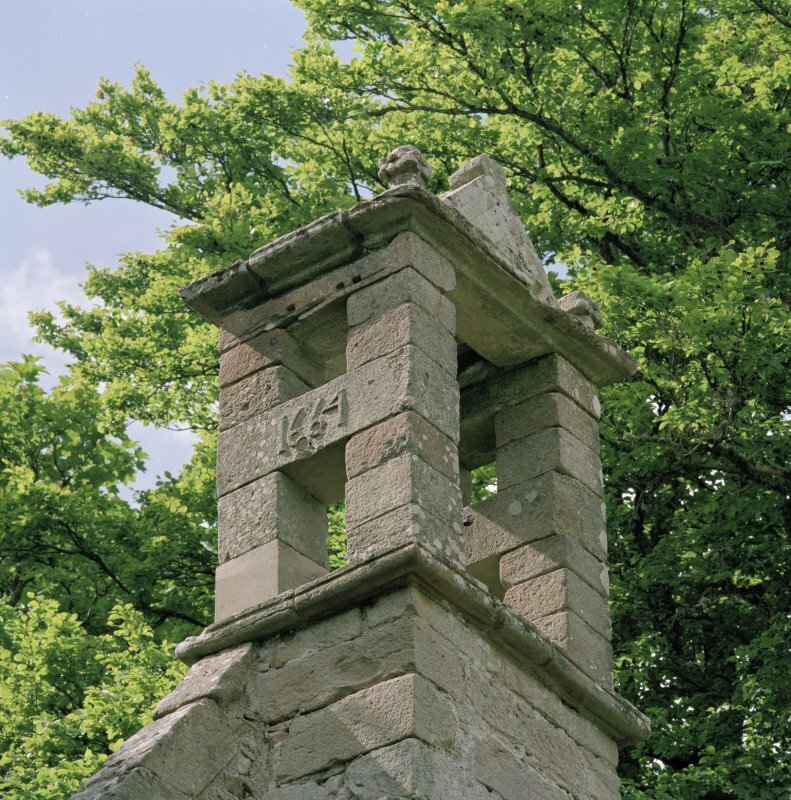 Detail of bellcote from South East. 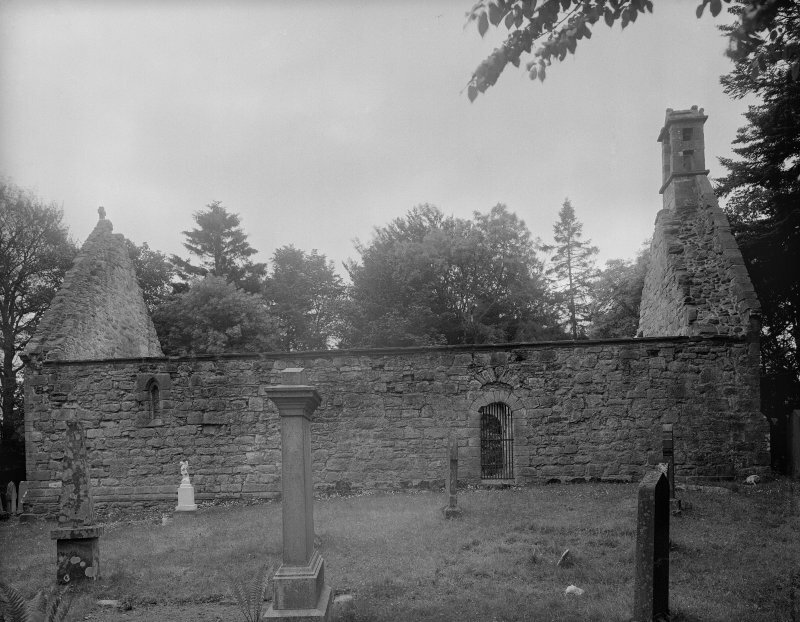 View along South wall of church, from East. 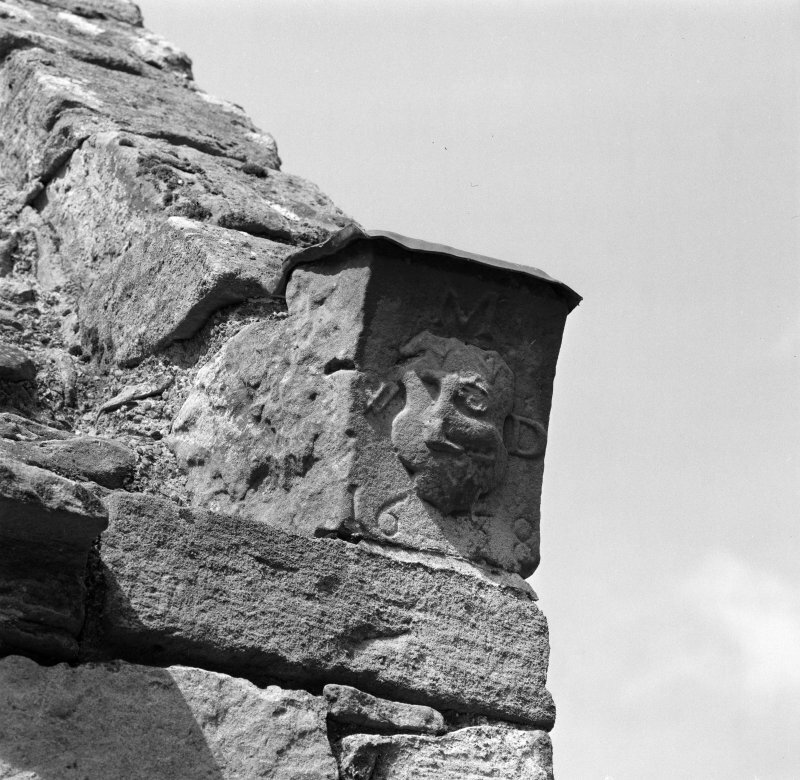 Detail of skewputt on South end of East gable. 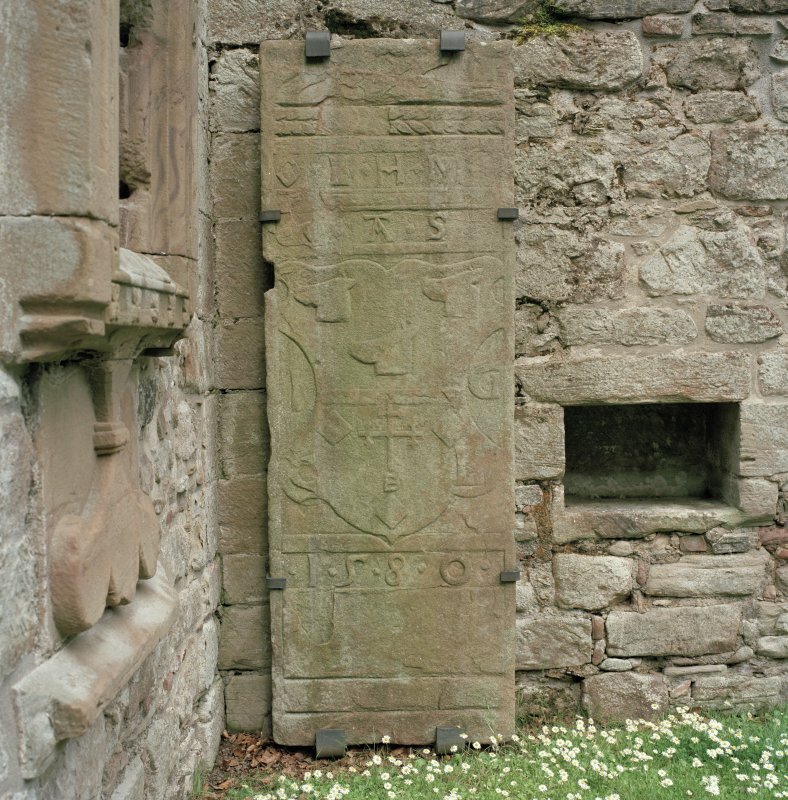 View of grave slab (1580) in North East corner of church. Detail of carved panels in E gable. 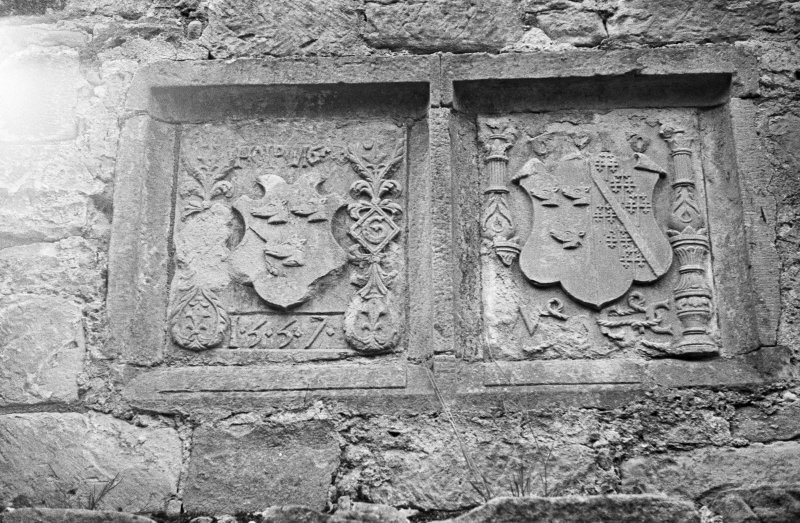 Detail of armorial panels on inside of East gable. 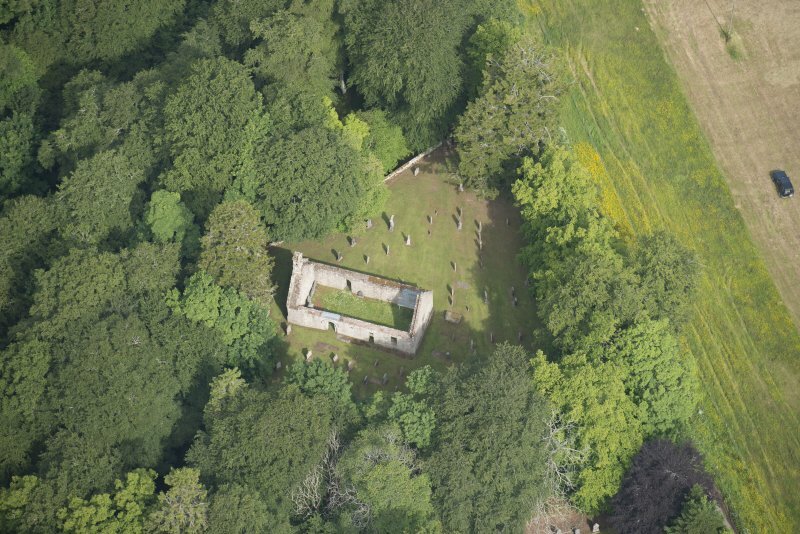 Oblique aerial view of St Mary's Church, looking to the N.
Auchindoir Church. View from W.
Auchindoir Church. Detail of S door. 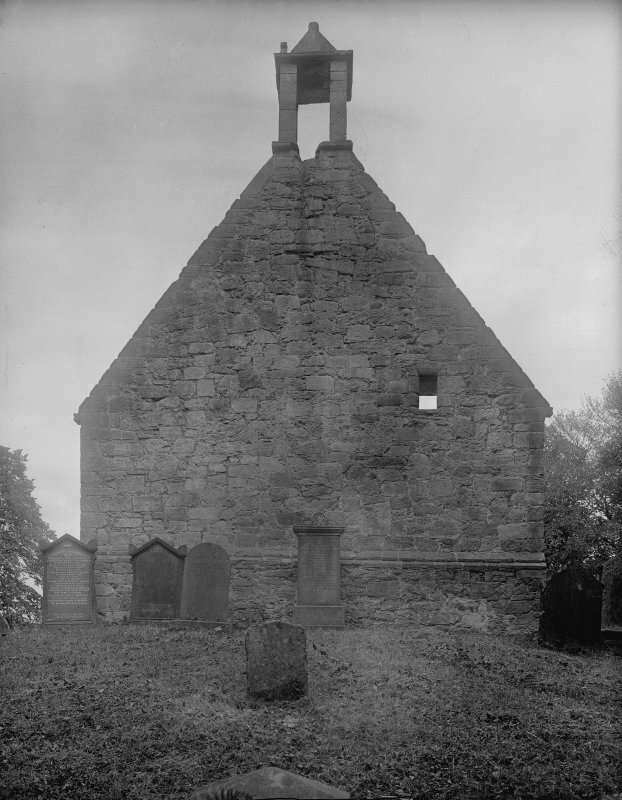 Auchindoir Church. Interior. View from W.
Auchindoir, St Mary's Church. Detail of Transitional SW doorway. 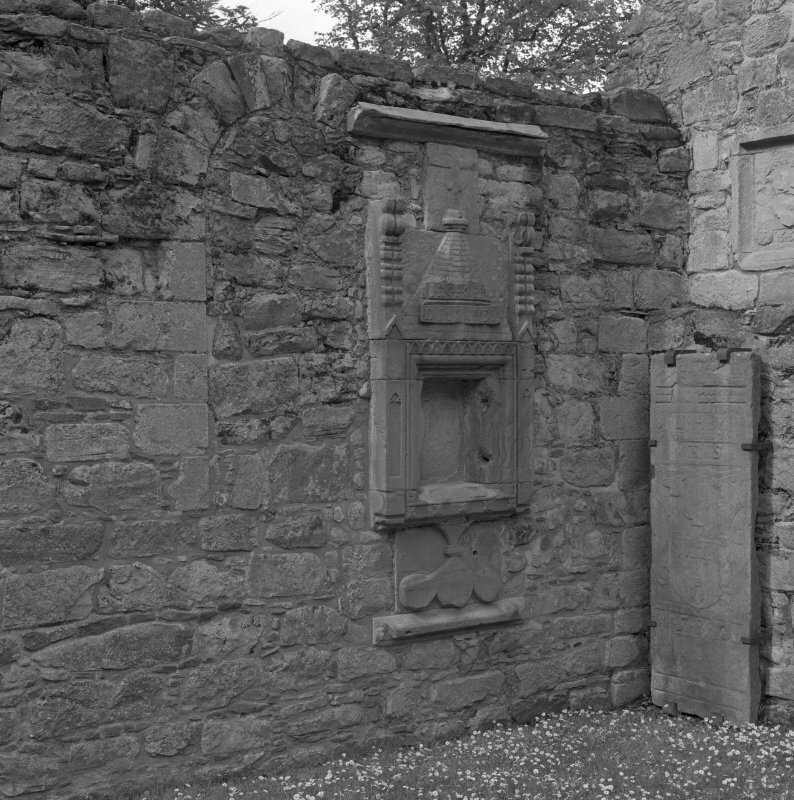 Eastern doorway and benatura in South wall. View of interior from West. 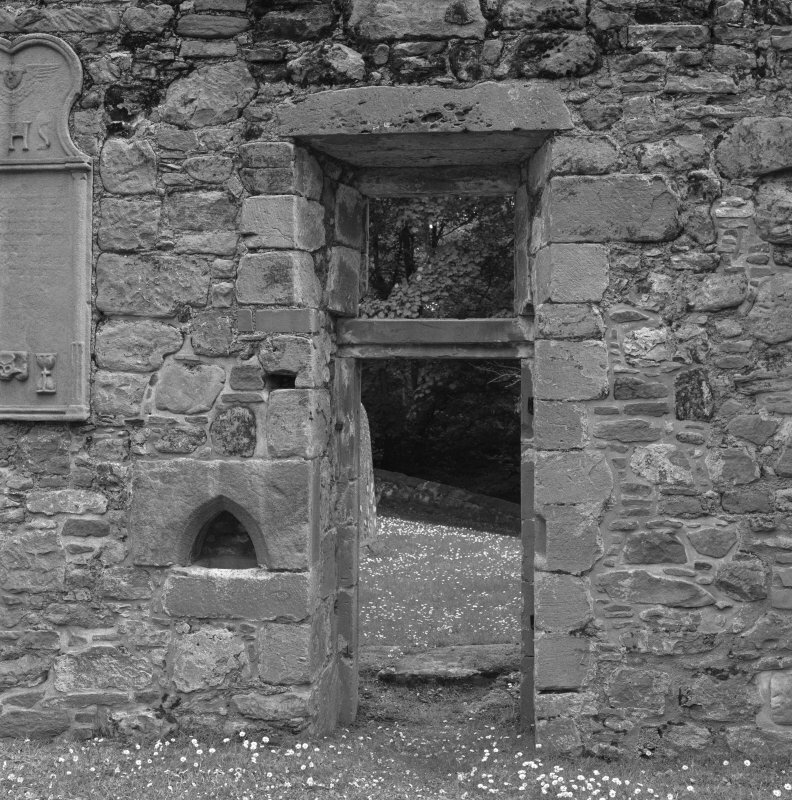 Doorway and window in East gable, view from inside church. 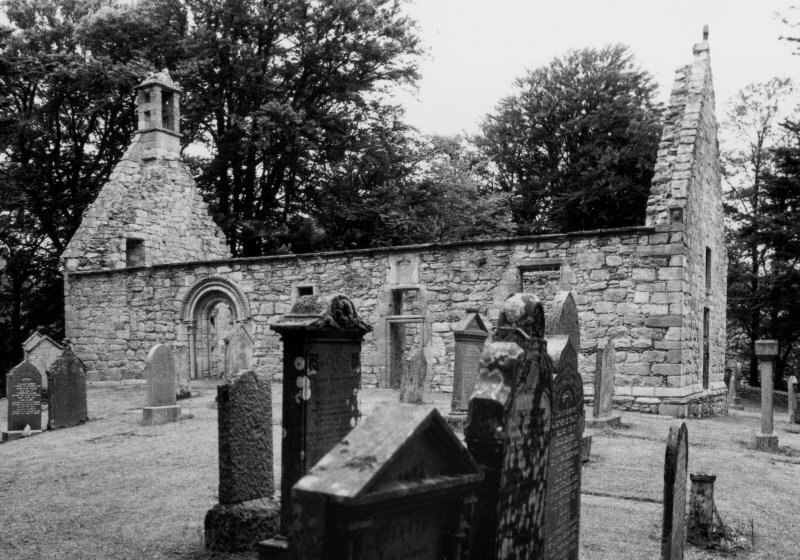 Auchindoir Church. Interior. 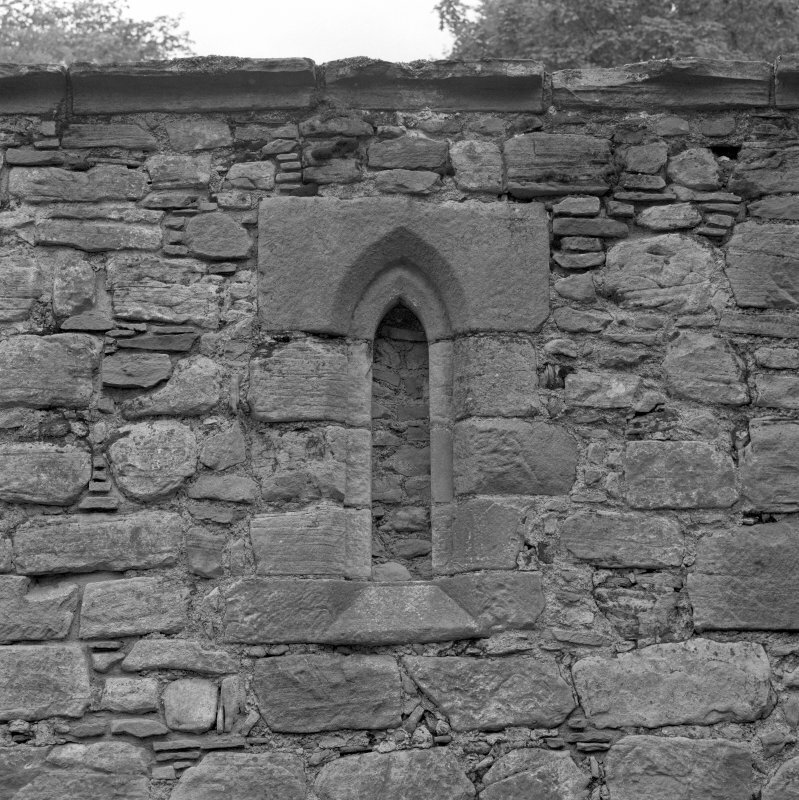 Detail of sacrament house and blocked window in NE corner. 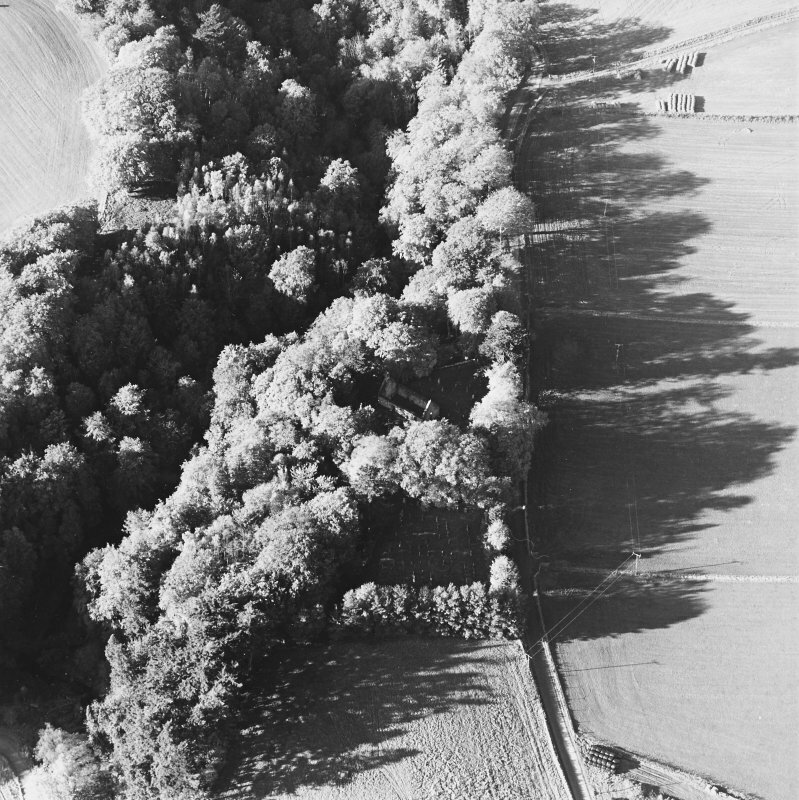 Oblique aerial view of St Mary's Church, looking to the NNW. Interior. 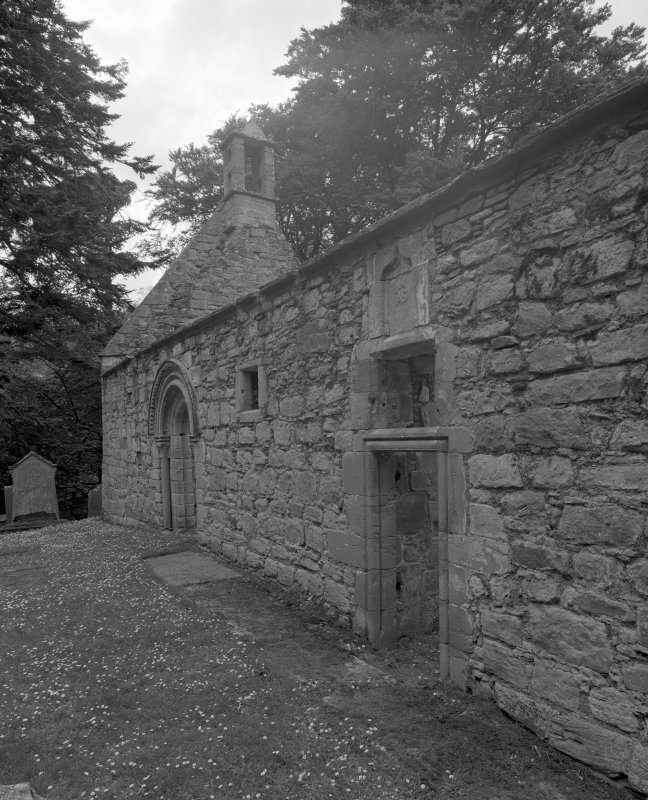 View of E end showing sacrament house. 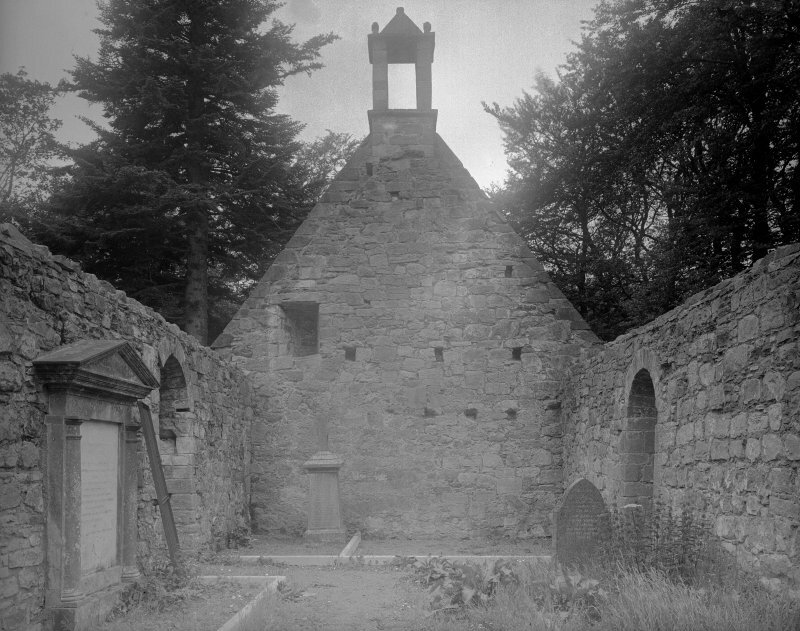 Auchindoir, St Mary's Church. 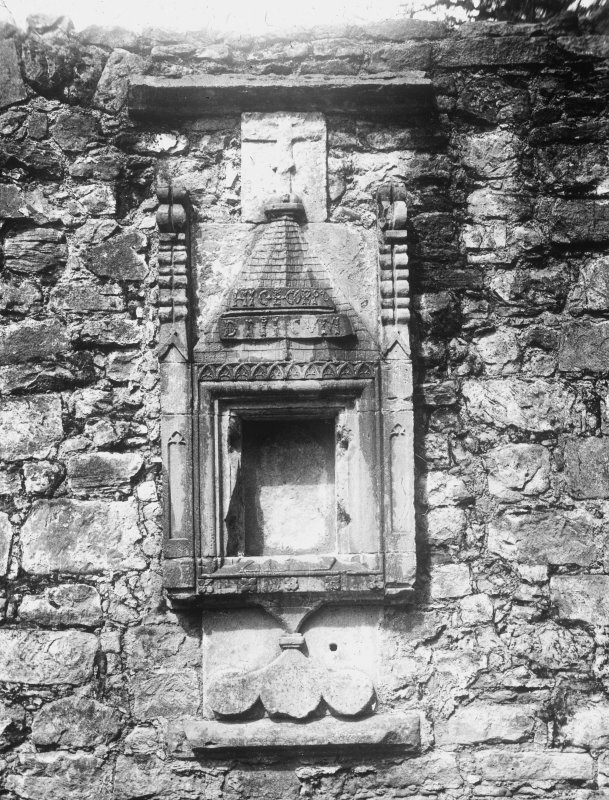 Detail of sacrament house. 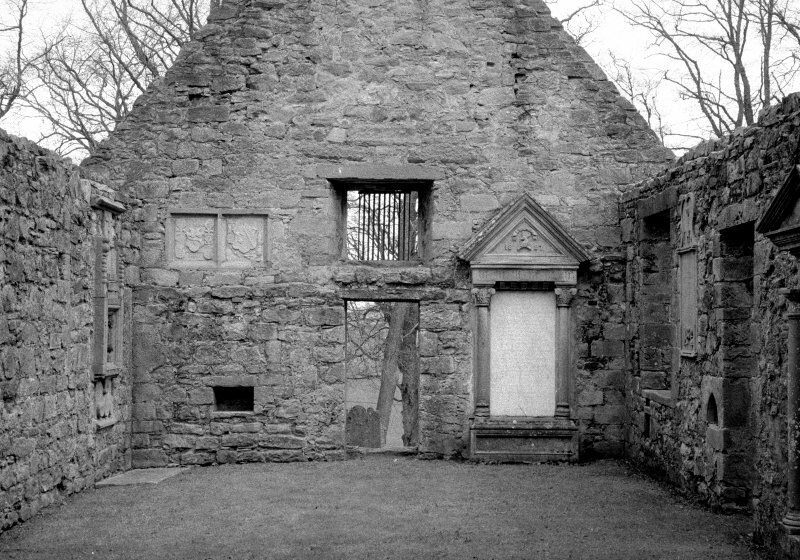 Sacrament house, blocked arched window and grave-slab. 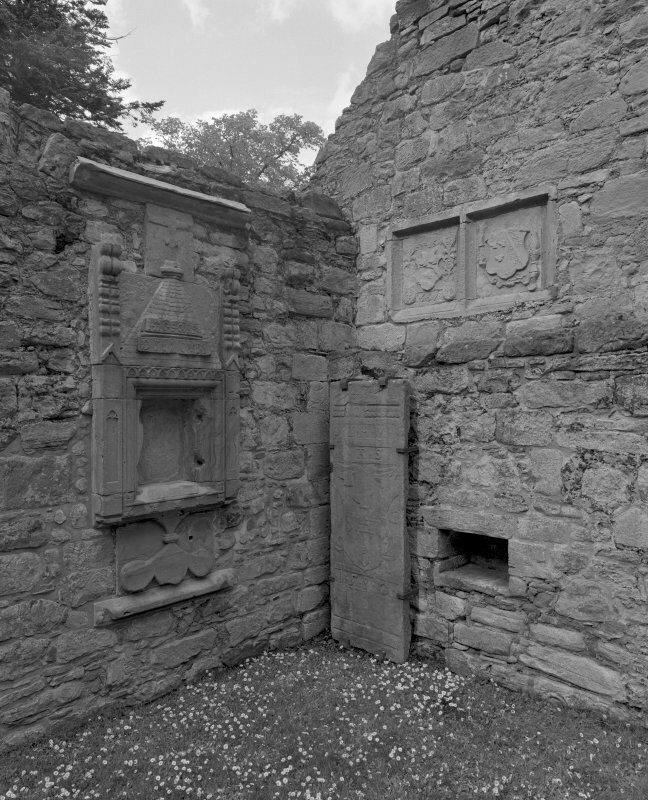 Detail of sacrament house, grave slab and two armorial panels in North East corner of church. View of interior from East. 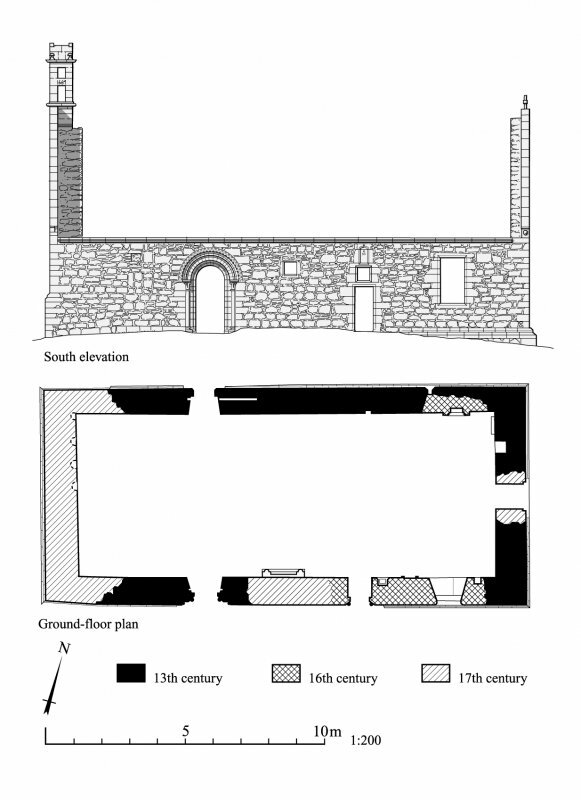 Detail of sacrament house: locker and upper panels. 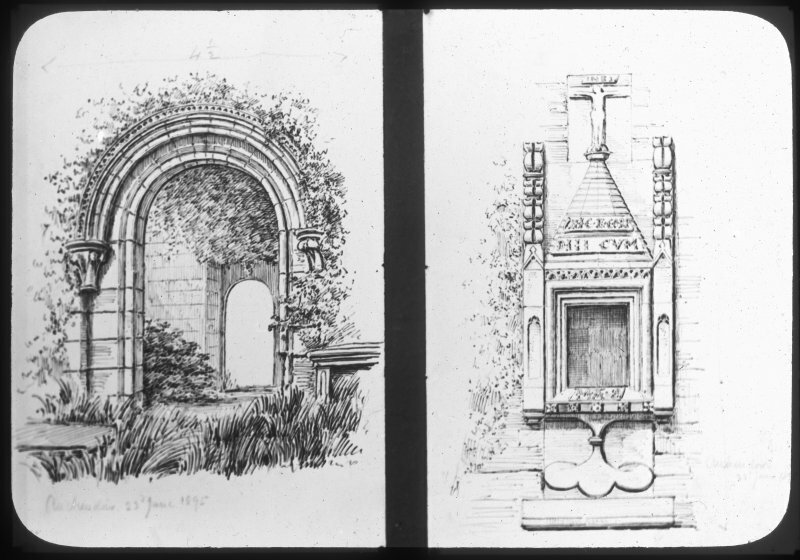 Sketch of doorway and sacrament house. 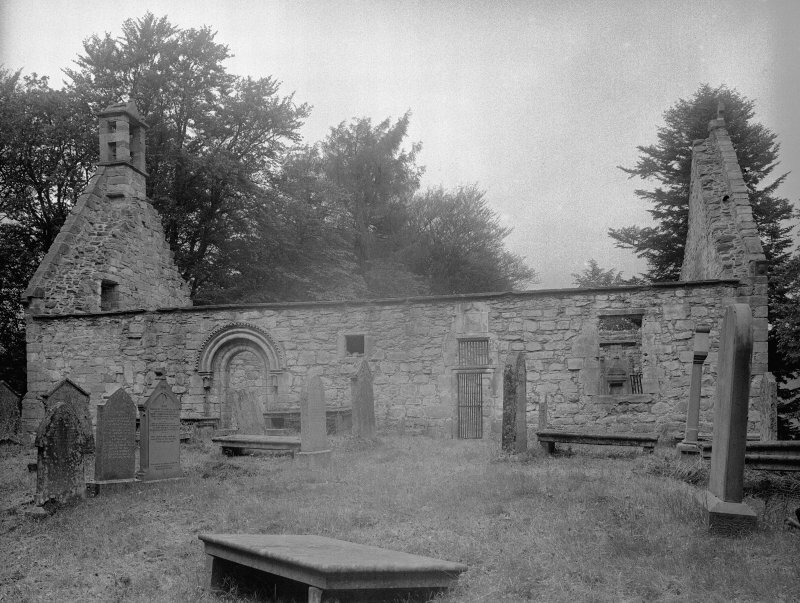 Auchindoir Church. View from E.
Doorway in North wall, view from interior. 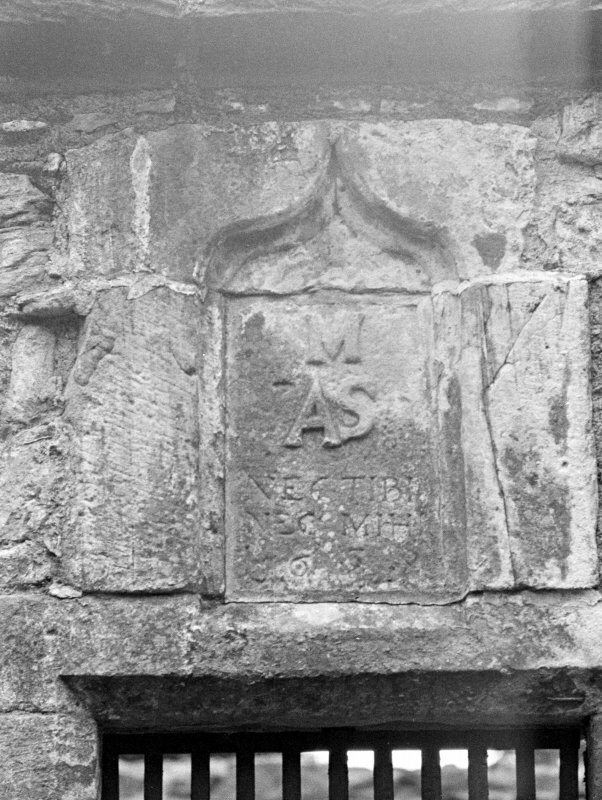 Detail of sacrament house: inscription and tegulated decoration. Auchindoir Church. View from SE. 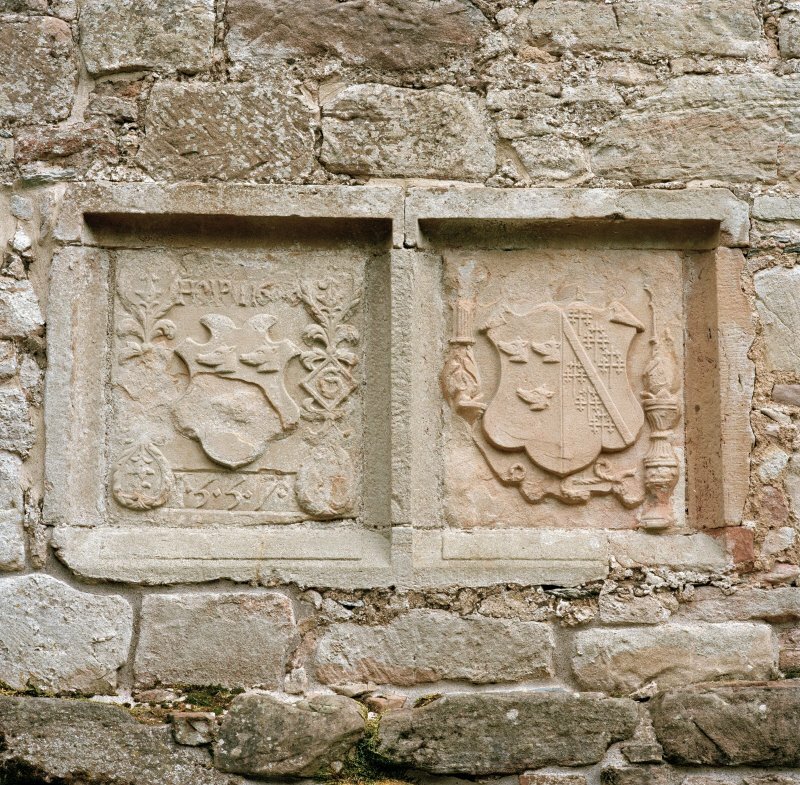 Detail of two armorial panels on inside of East gable. 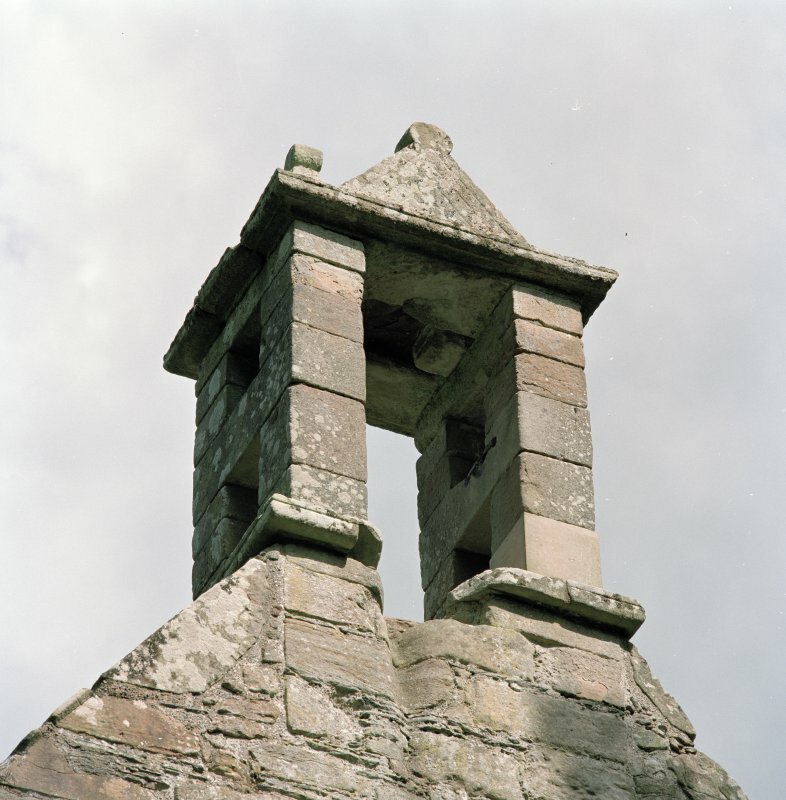 Detail of bellcote from South West. 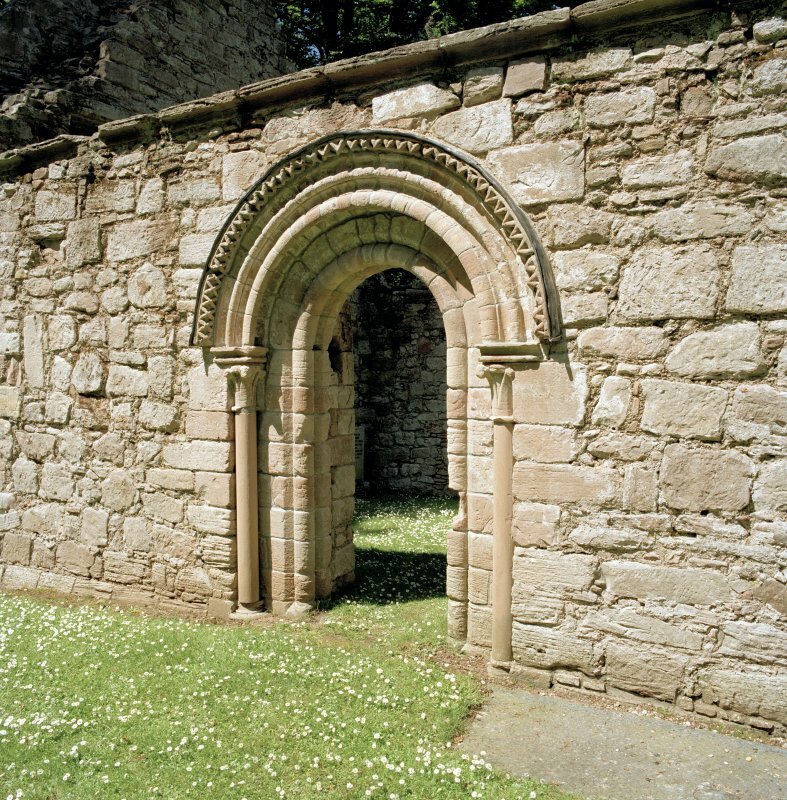 Transitional doorway in South wall. 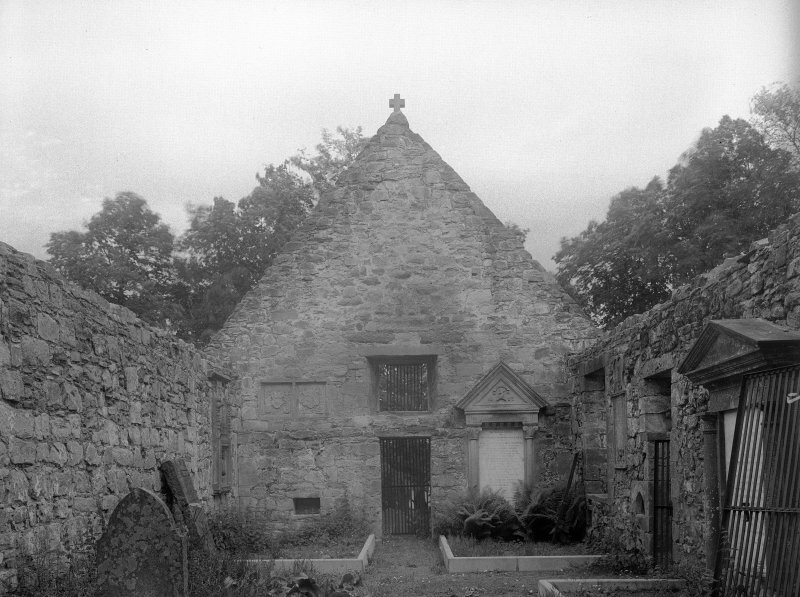 Auchindoir Church. Detail of panel over E door in S side. 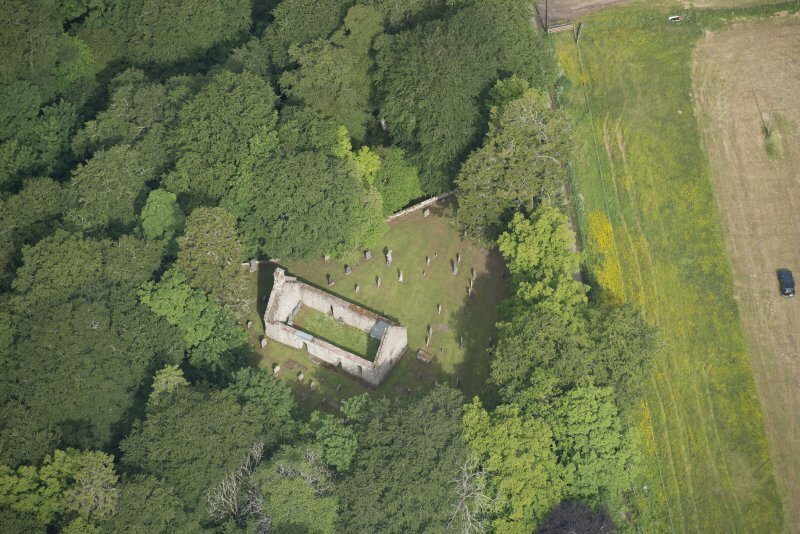 Oblique aerial view of St Mary's Church, looking to the SSW. Auchindoir Church. Interior. View from E.
Gravestone commemorating William Smith, d. 1853 and Margaret Sim, d. 1860. Auchindoir, St Mary's Church. Detail of benatura. 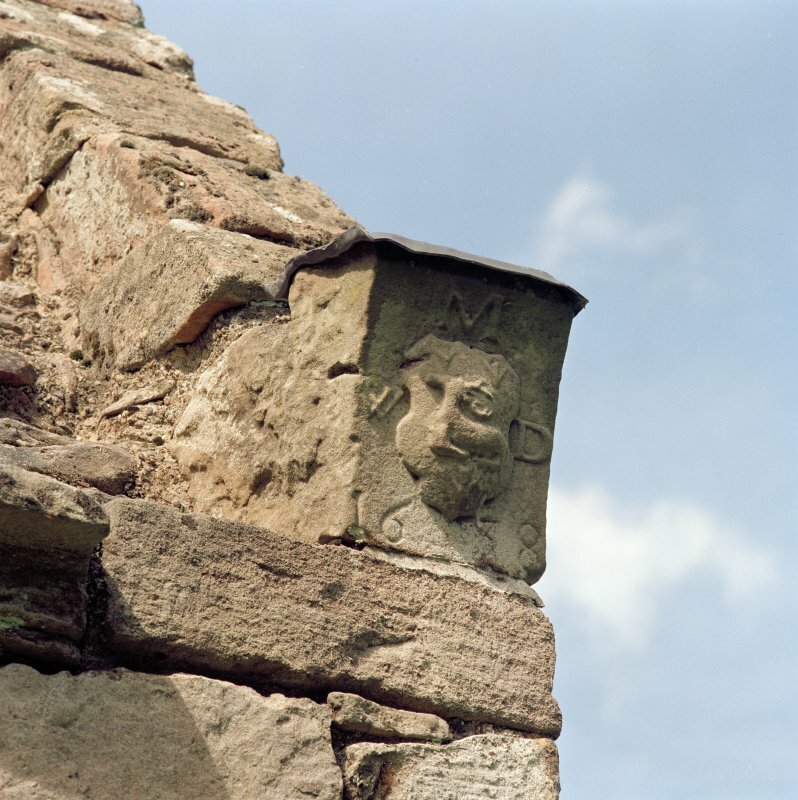 remodelling, 17th-century details. 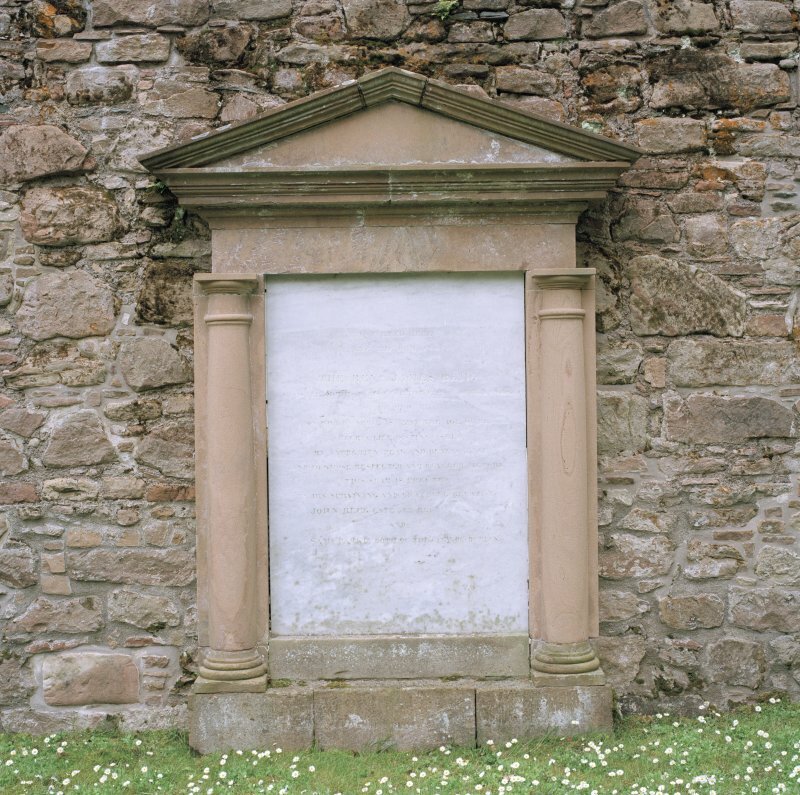 Unroofed 1810-11, the kirk is a long pink rectangle with, on south side, a fine Transitional Norman doorway with a chevron-moulded hood and nook shafts with bell capitals. 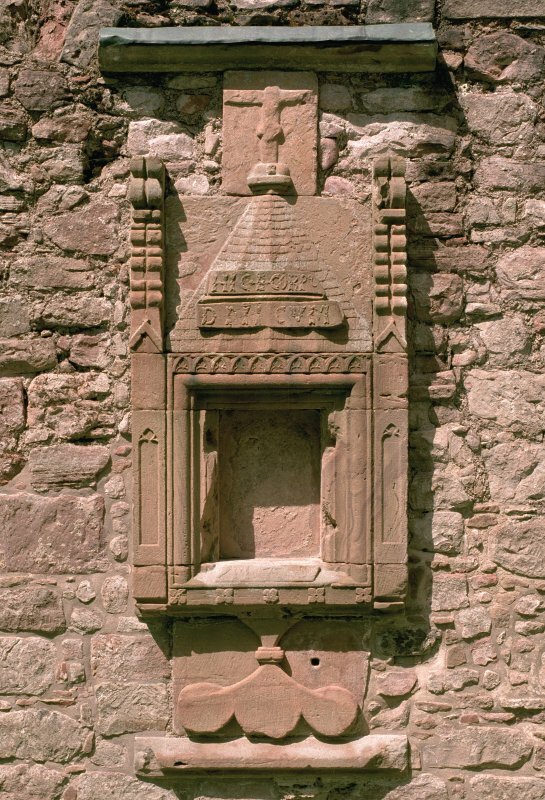 A striking 16th-century sacrament house, shaped like a monstrance, is inserted into a lancet window in the north wall; also a Gordon of Craig armorial plaque of 1557 and a good grave slab of 1580. 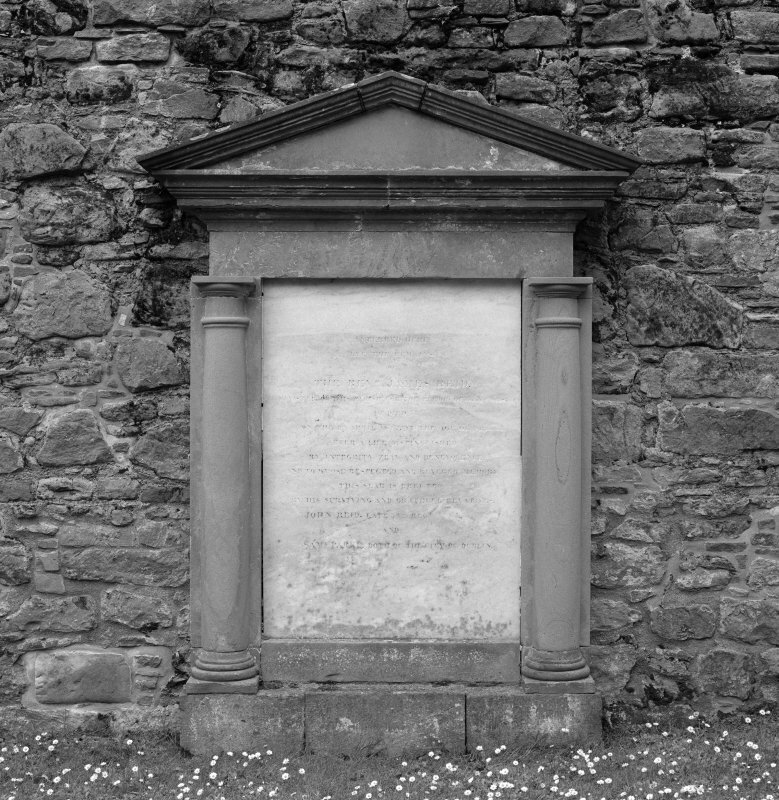 Ball-capped gatepiers; kirkyard walls 18th century. For successor North Parish Church (NJ 4831 2481) and parish church (NJ 4752 2204), see NJ42SE 26 and NJ42SE 27 respectively. 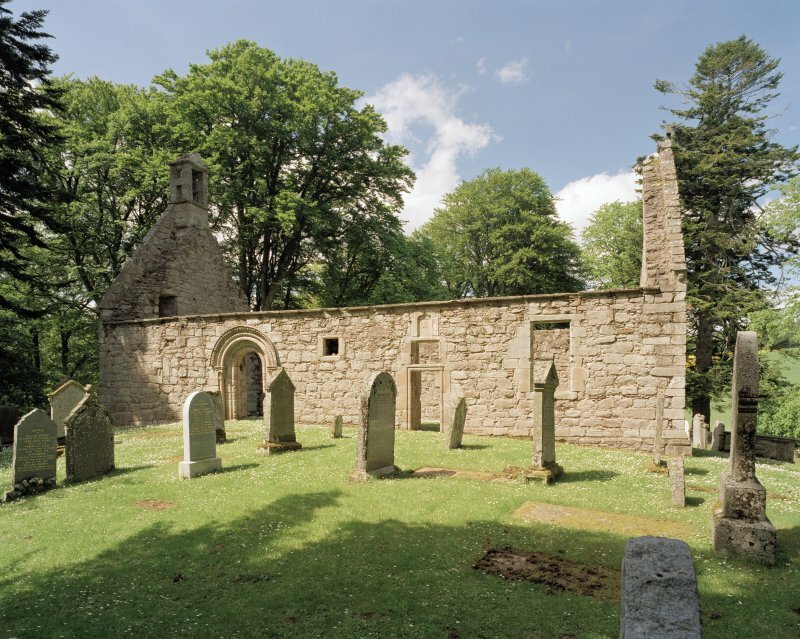 The church of Auchindoir was dedicated to the Blessed Virgin or St Mary and is mentioned from 1236 onwards. 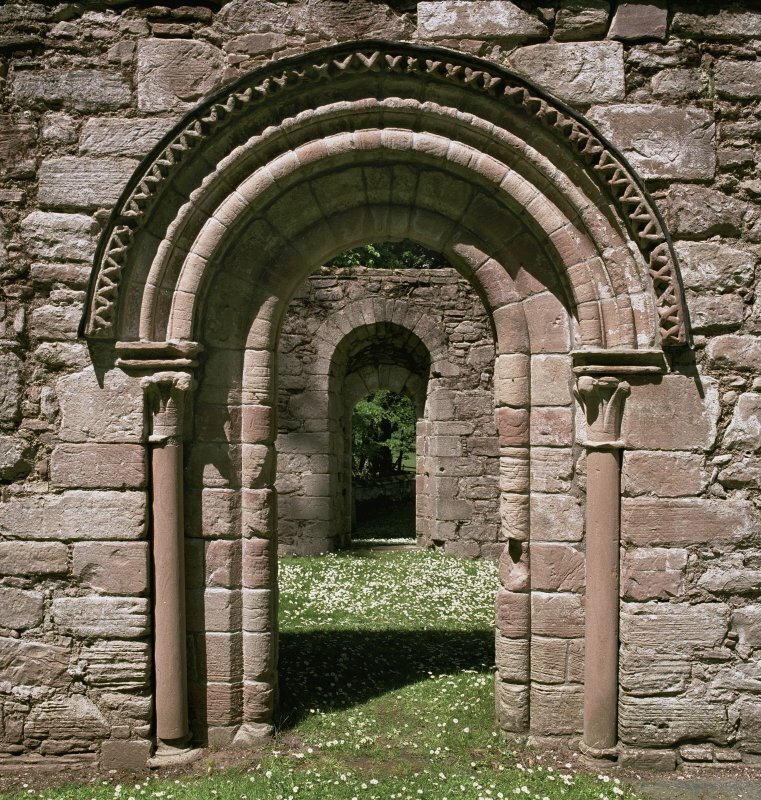 It is described by Simpson as one of the finest specimens of 13th century transitional or early First Pointed architecture surviving in North Scotland exemplified by the south doorway. 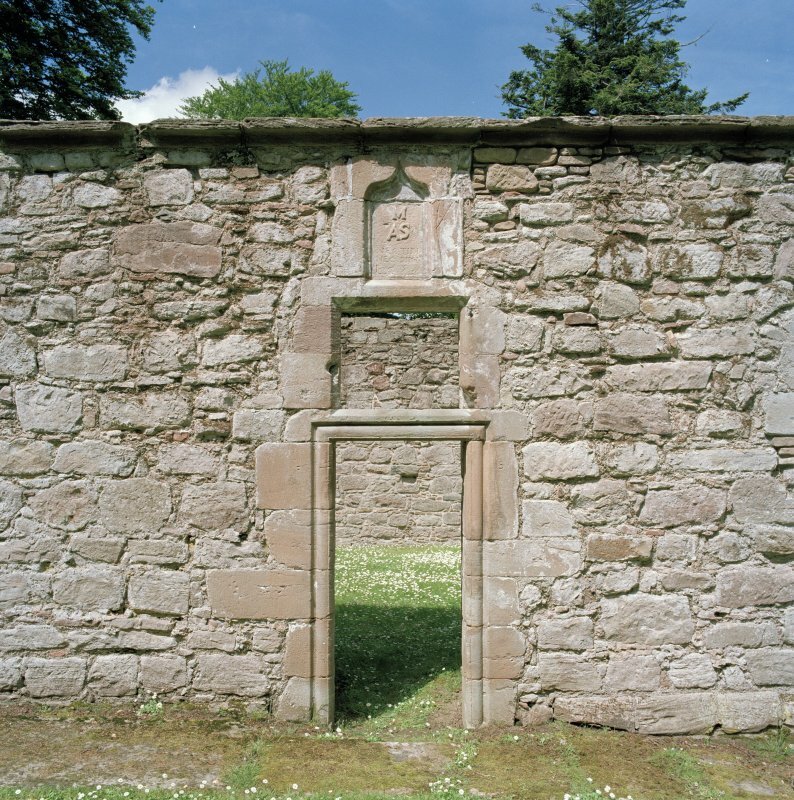 The structure was ruinous in 1809 and the surviving walls are of rubble with freestone quoins. There is no structural division between the nave and chancel. 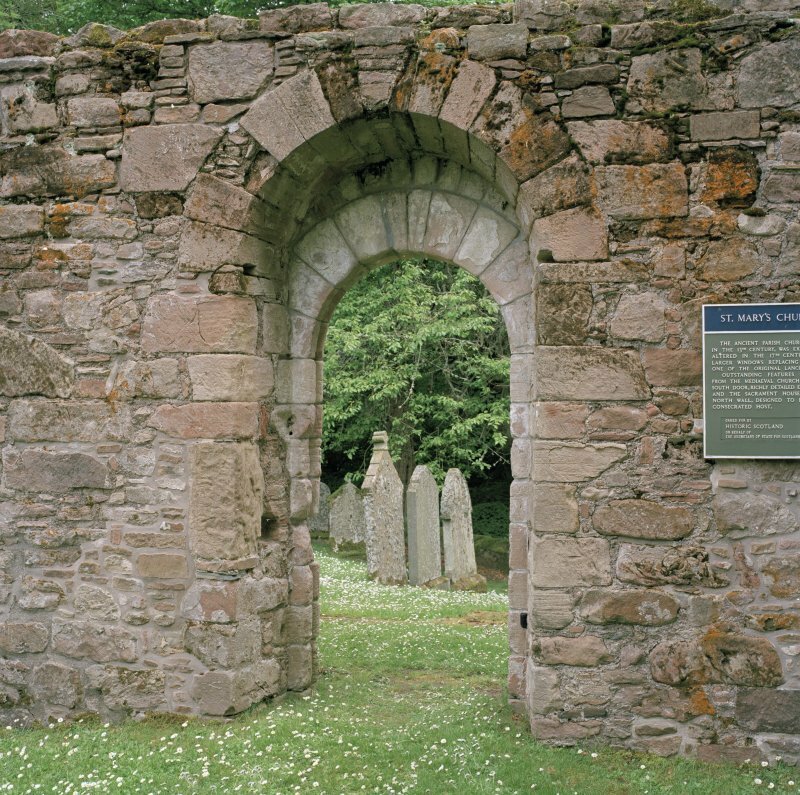 The church was altered in the first half of the 16th century and at some period in the 17th century and doors and windows have been inserted. 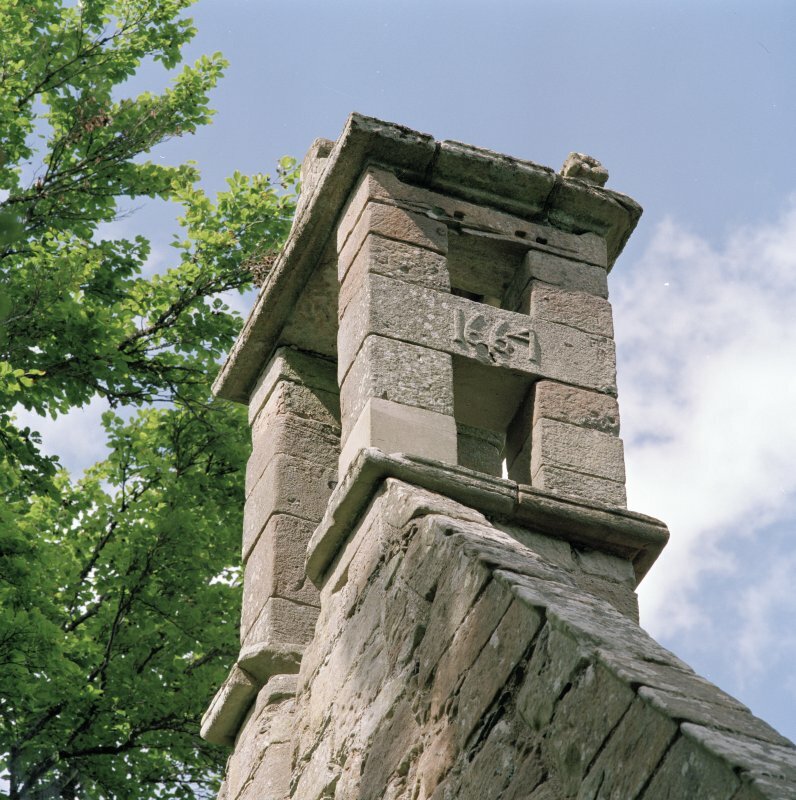 There is a 1664 belfry on the west gable and a number of 16th century and 17th century inscriptions. A 'sacrament house' is a fine example of early 16th century work. 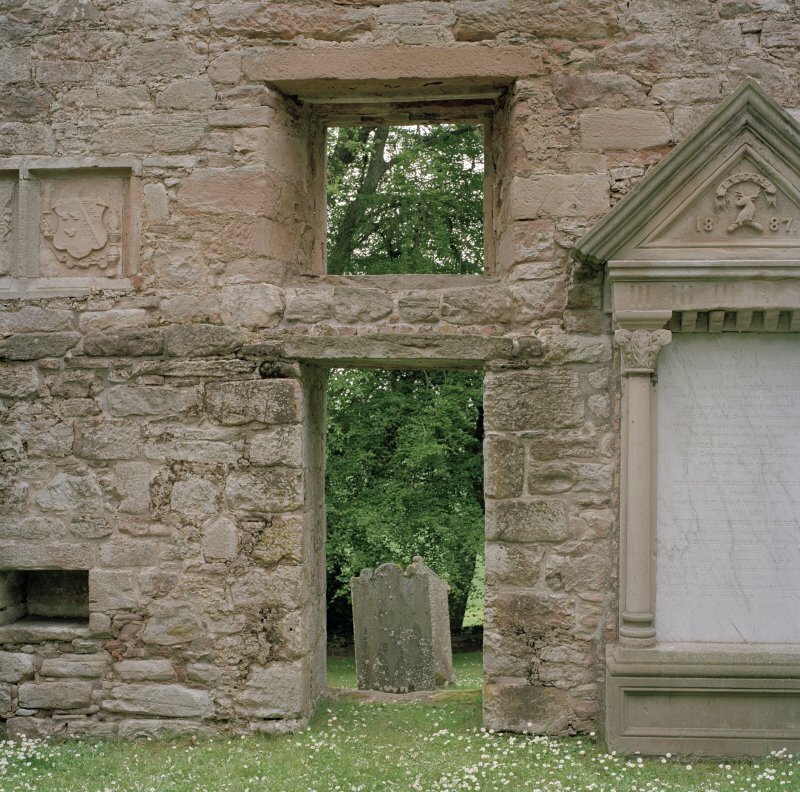 Panelling from the church is preserved in the farmhouse and at Clova House. About 100 yards to the west of the church was a Well of Our Lady or St Mary's Well the water of which was used to cure toothache. A Jervise 1871; A Jervise 1879; D MacGibbon and T Ross 1896; H Scott 1926; W D Simpson 1930; W D Simpson 1932. 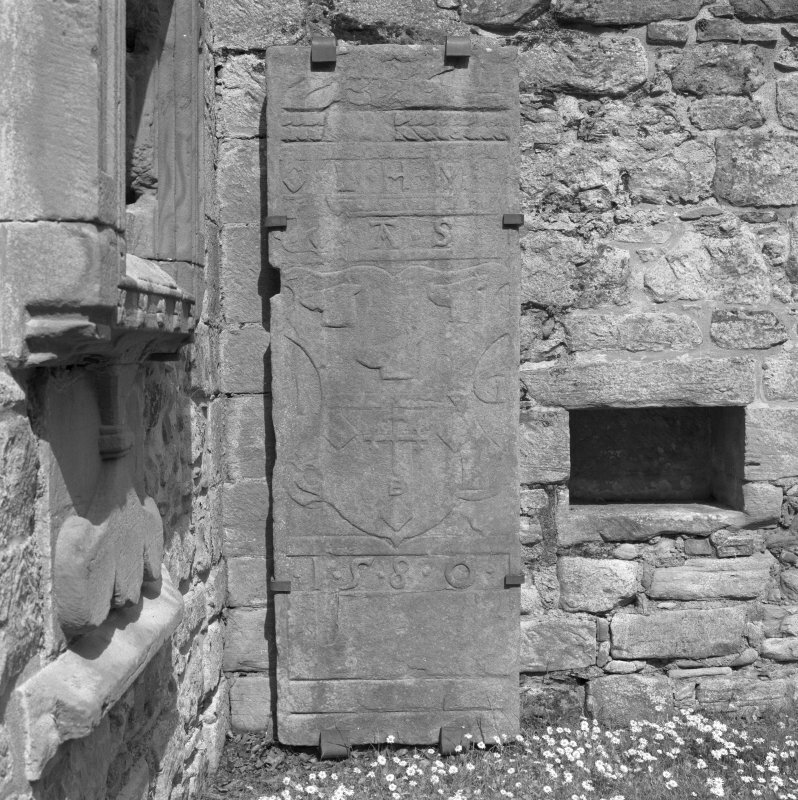 1811; original pulpit; walls of medieval kirk extant. Auchindoir (Aberdeen, Mar). 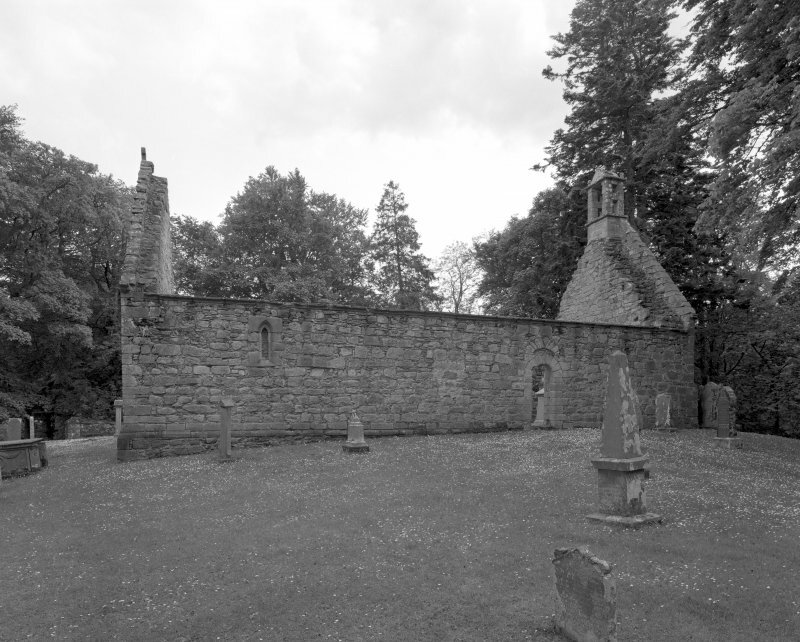 The church of Davachyndore was united to the prebend on Invernochty in 1361 by Bishop Alexander at the instance of Thomas, earl of Mar, and so continued until its disjunction in 1513/1514, when it was erected, both in parsonage and vicarage, into a prebend of King's College, Aberdeen, the cure thereafter to be a vicarage pensionary. 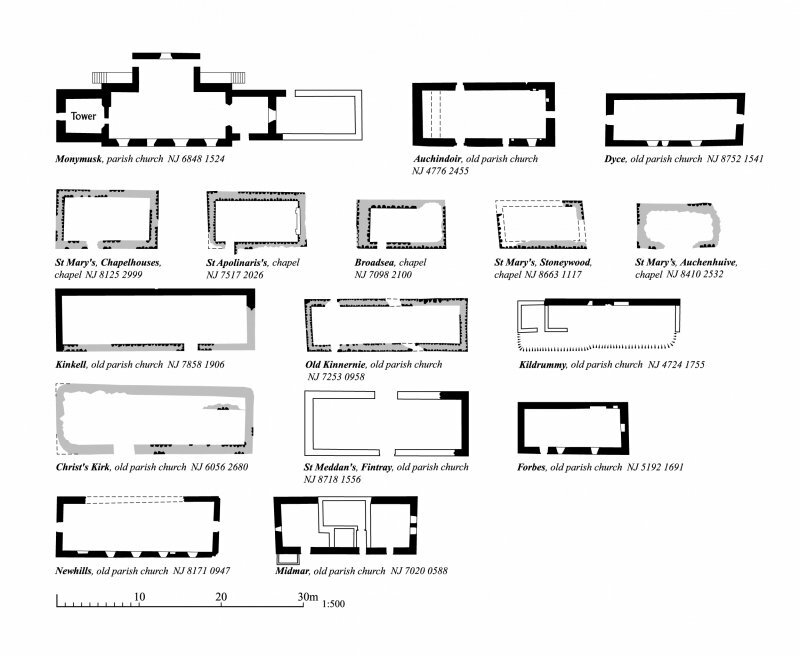 St Mary's Church, as described and planned. Now roofless, otherwise in good order. 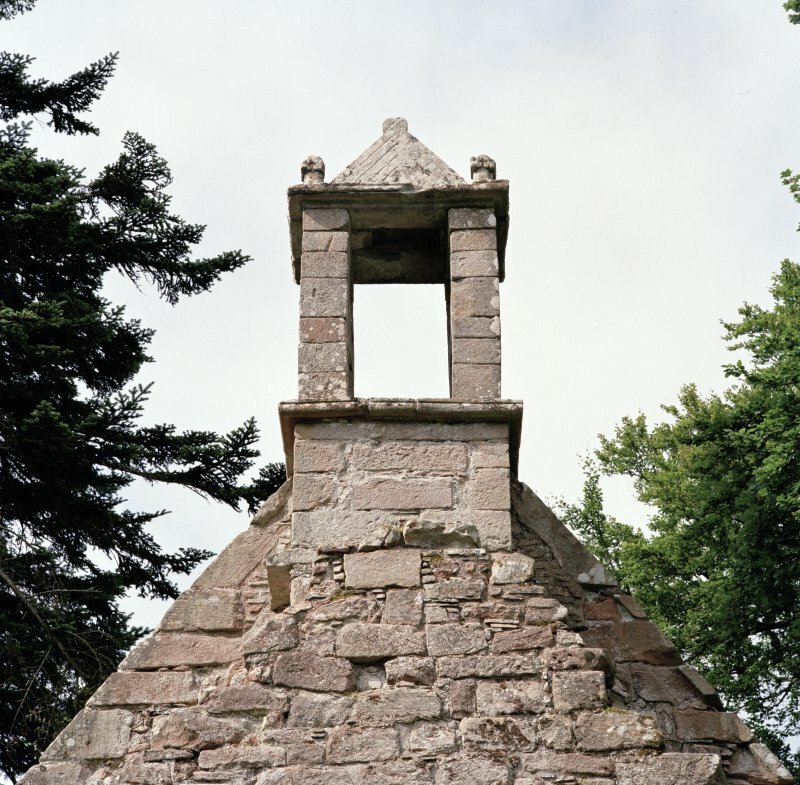 No trace could be found of St Mary's Well, 100 yards to the west of the church, but according to Mrs A R Barlass (Craig Castle, Aberdeenshire) a well at NJ 4722 2481 is known as St Mary's Well and is reputed locally to have holy properties. It is carved out of a piece of stone to form a basin, c.0.6 metres by c.0.4 metres by c.0.4 metres deep, which is fed by water from a natural spring. 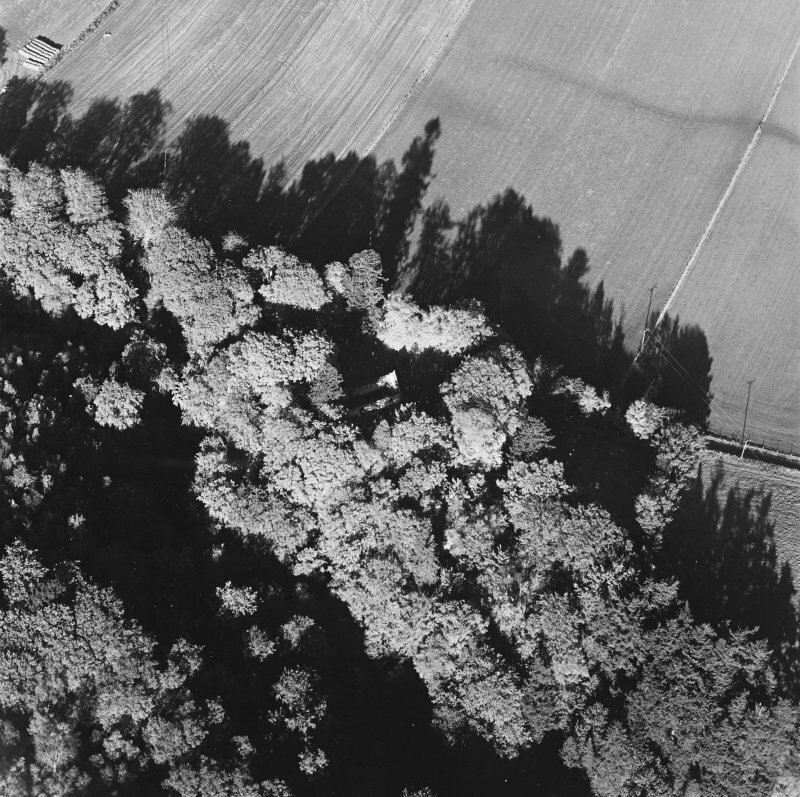 Visited by OS (RL) 27 September 1967. St Mary's Church, Auchindoir. 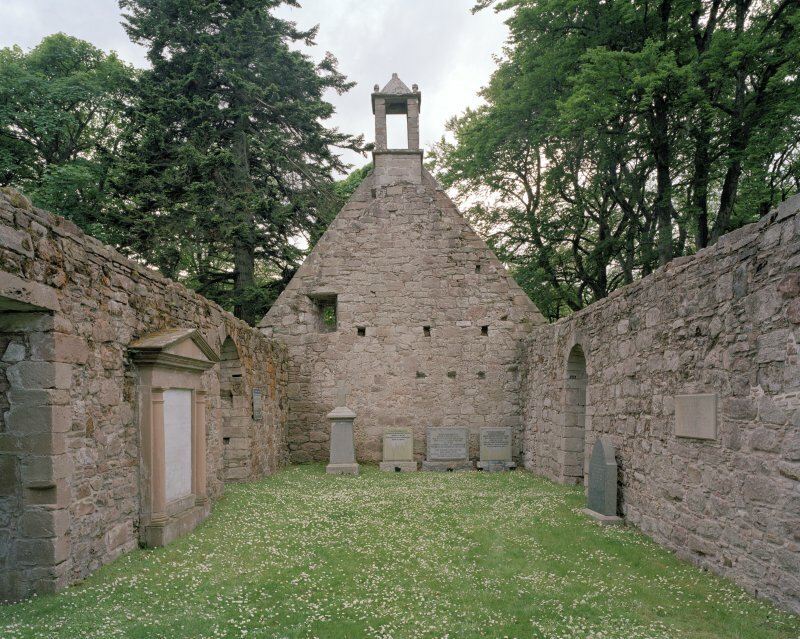 This simple rectangular church, set on a peaceful green mound, was built in the later 13th century as the parish church of Auchindoir, at a time when great efforts were being made to consolidate the parochial system. 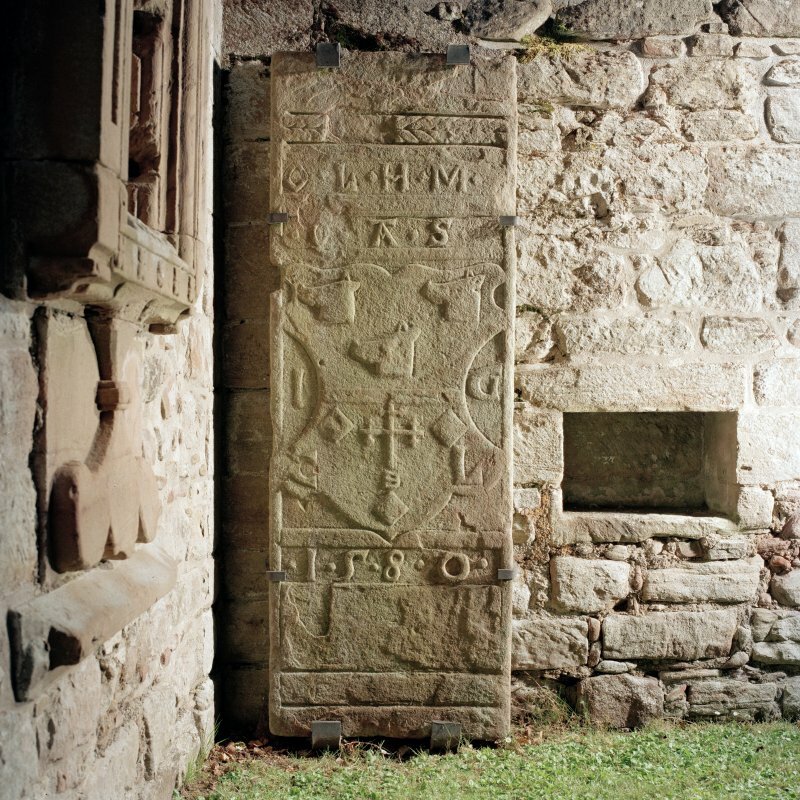 The S doorway is a fine example of work from this period, the high point of Scottish medieval stone-mason work. Its hood moulding is decorated with dogtooth carvings that surround the plain round-headed mouldings of the opening. The latter are carried on 'handsome crocket caps' and narrow shafts. 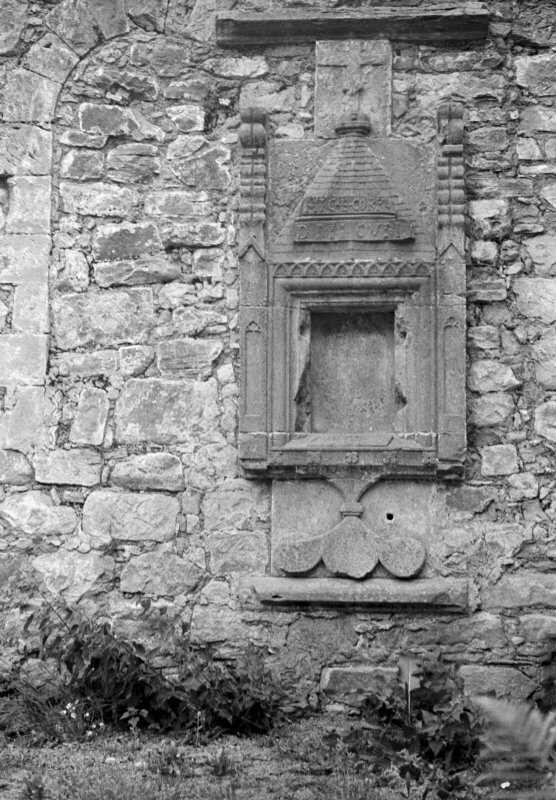 The church was remodelled in the early 16th century and a fine sacrament house, carved to look like a monstrance, inserted into a lancet window. Rescheduled as St Mary's Church, Mote Hill and Dovecot. 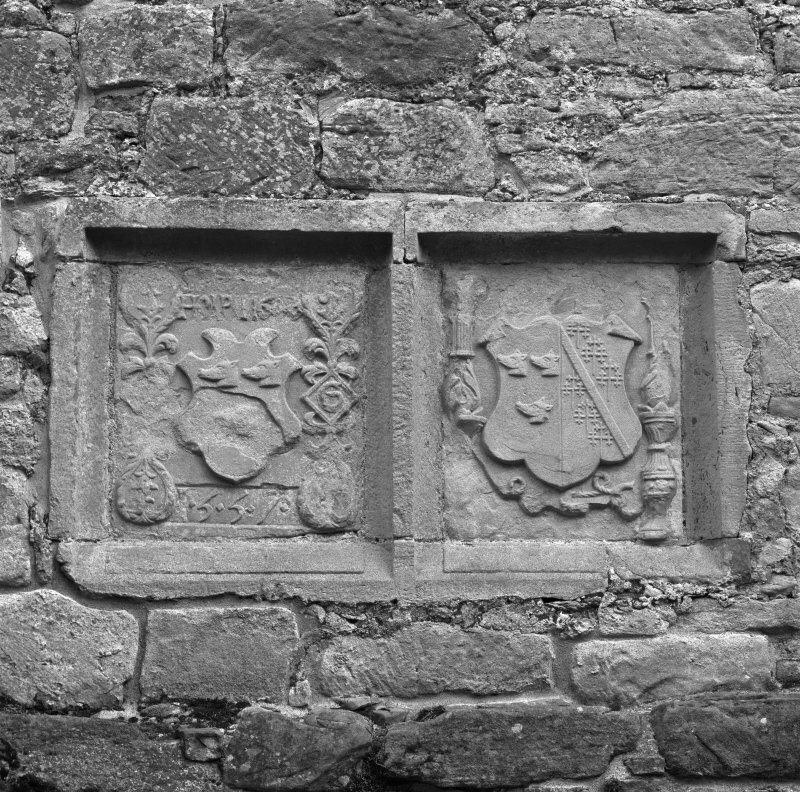 Bellcote dated 1664 within church together with Gordon coat of arms of 1557 and slab of 1580. 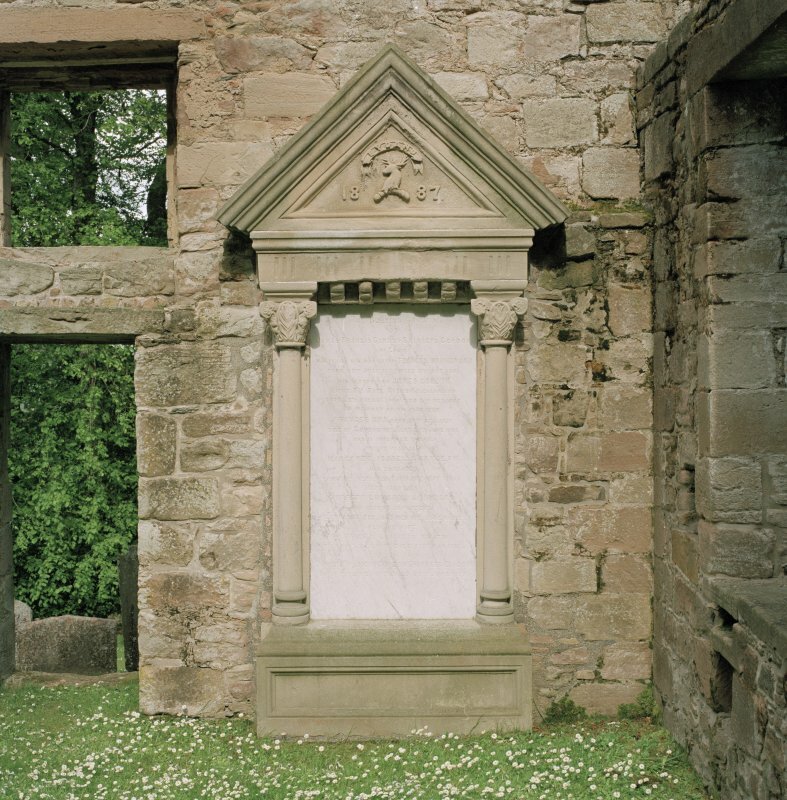 Six panels from pulpit preserved at Clova House. Site of well: believed to cure toothache. R and F Morris 1982; NMRS, MS/712/48. 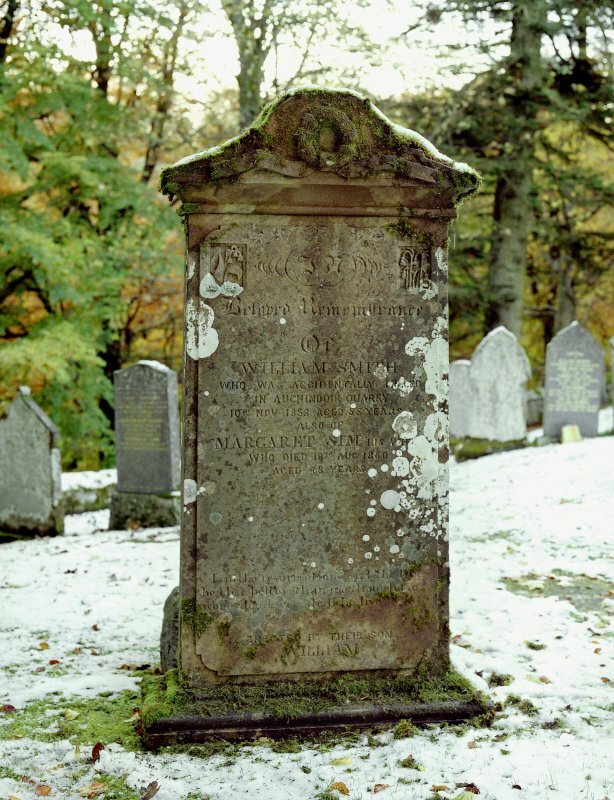 A gravestone in the burial-ground commemorates the death of William Smith, who was accidentally killed at the quarries on Quarry Hill (NJ42NE 103) in 1853, and his wife Margaret Sim who died in 1860 aged 48. Information from RCAHMS (ARG), 6 December 2005. Aberdeen Public Library, reference Dept. 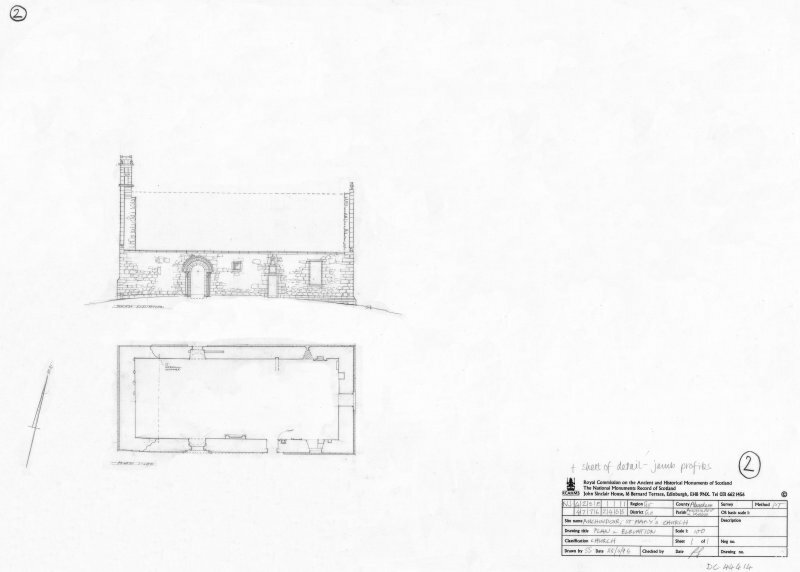 Plans: Proceedings of the Society of Antiquities of Scotland, 1929-30 - plan, measured drawing of sacrament house and details. 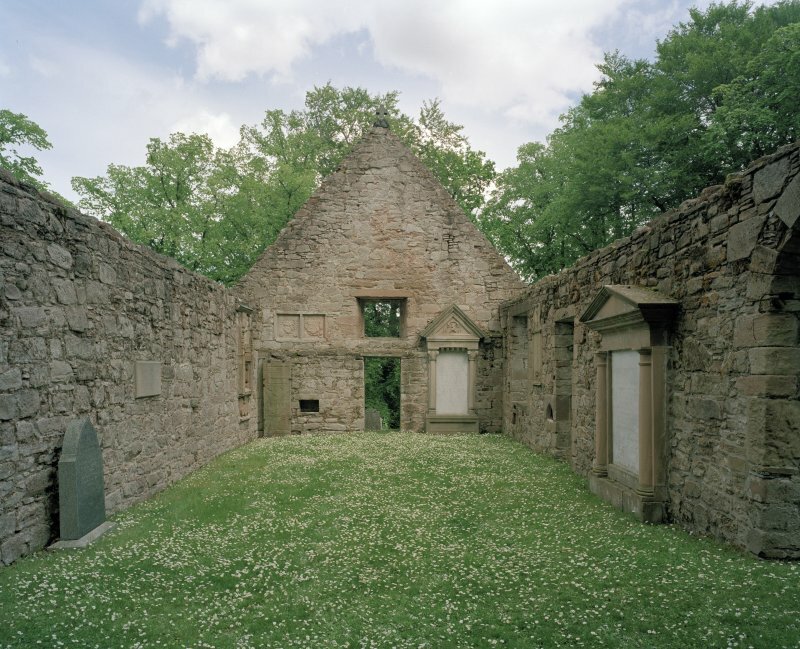 This simple rectangular church, set on a peaceful green mound, was built in the later 13th century as the parish church of Auchindoir, at a time when great efforts were being made to consolidate the parochial system. 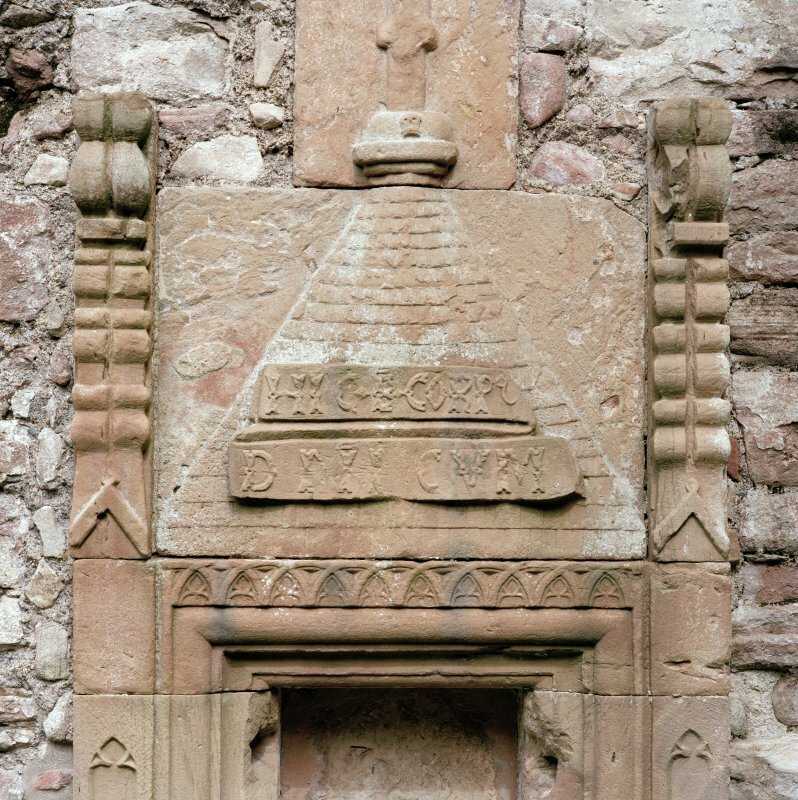 The south doorway is a fme example of work from this peliod, the high point of Scottish medieval stone-mason work. Its hood moulding is decorated with dogtooth carvings that surround the plain roundheaded mouldings of the opening. The latter are carried on 'handsome crocket caps' and narrow shafts. 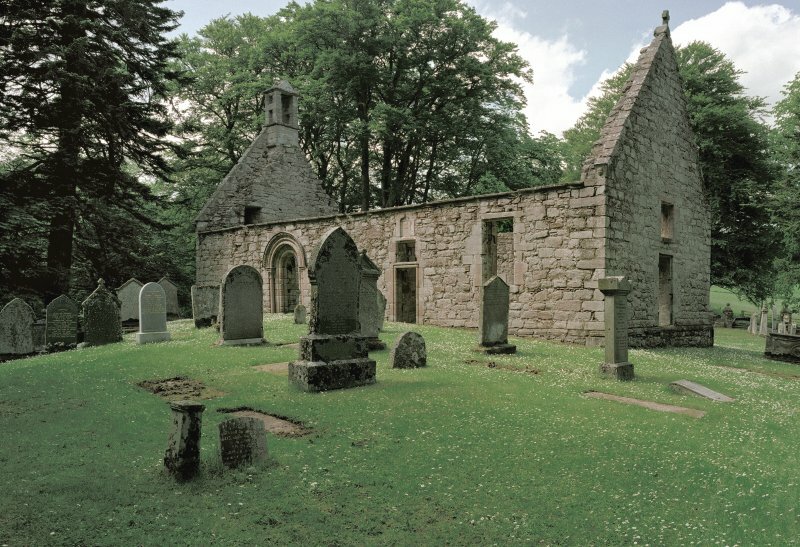 This simple rectangular church, set on a peaceful green mound, was built in the later 13th century as the parish church of Auchindoir, at a time when great efforts were being made to consolidate the parochial system. 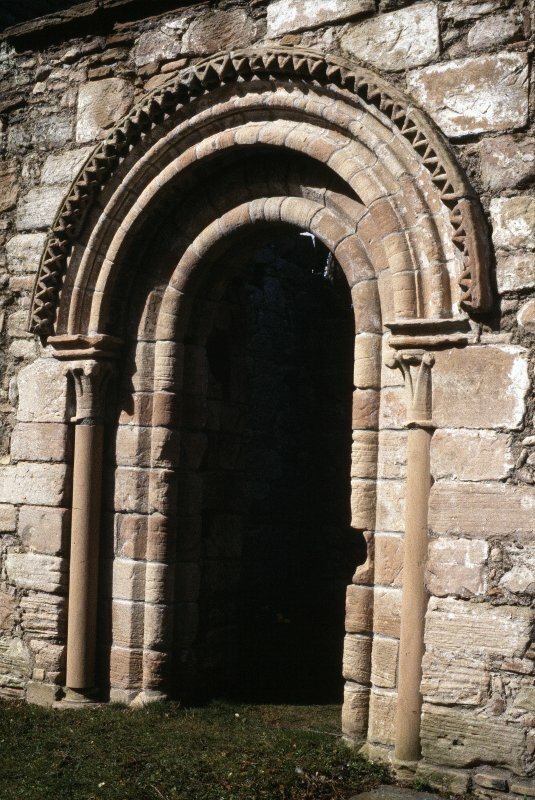 The south doorway is a fine example of work from this period, the high point of Scottish medieval stone-mason work. Its hood moulding is decorated with dogtooth carvings that surround the plain round-headed mouldings of the opening. The latter are carried on 'handsome crocket caps' and narrow shafts. 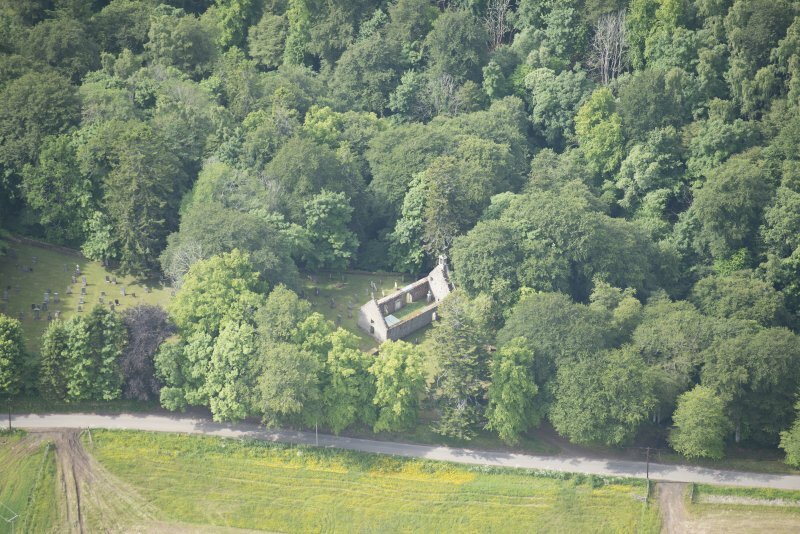 The original earthen motte of Craig lies just to the S of the Kirk, and, N up the Den of Craig, is the imposing chateau of Craig.